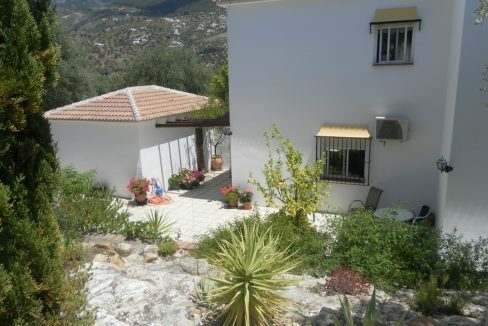 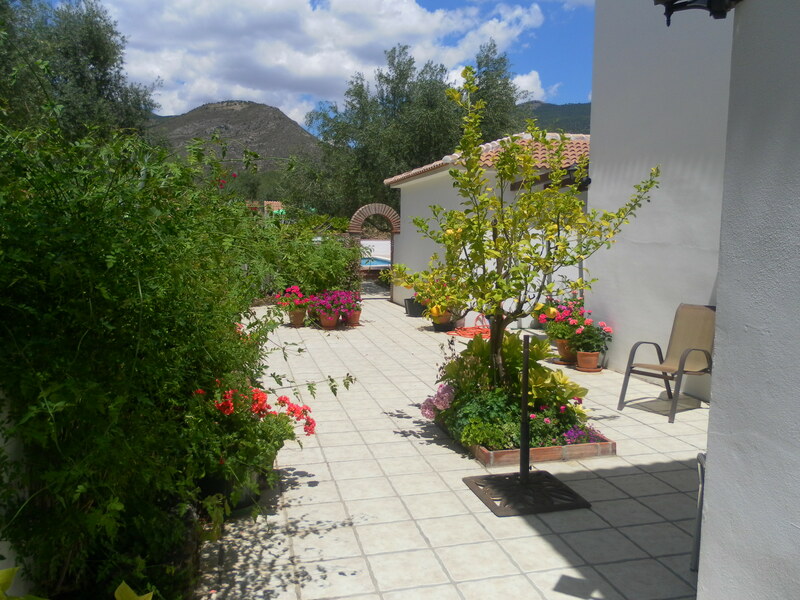 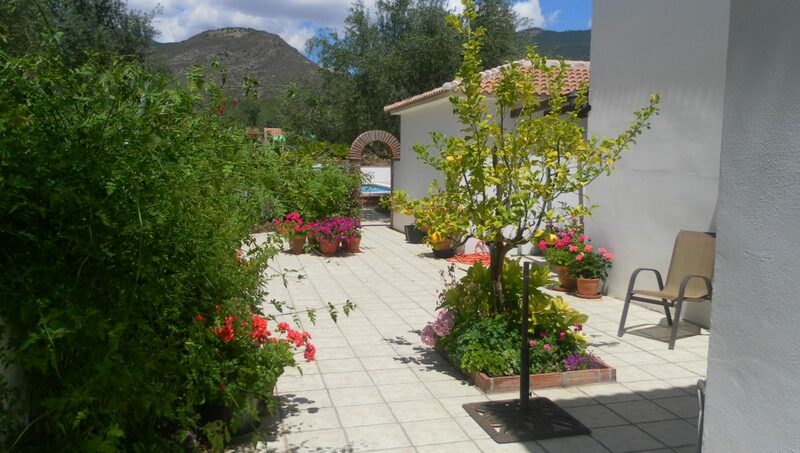 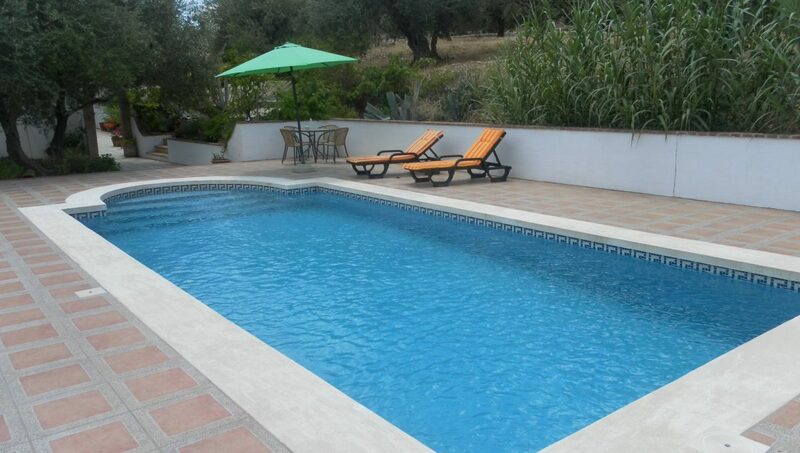 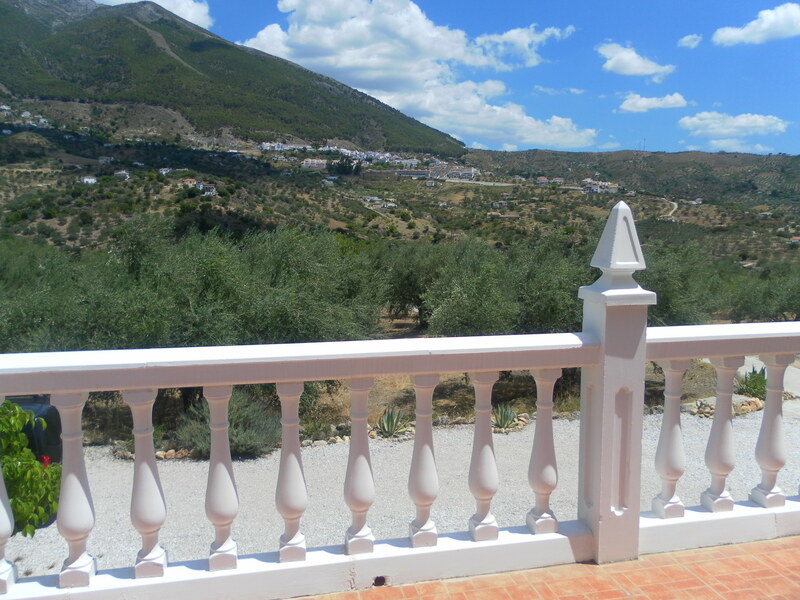 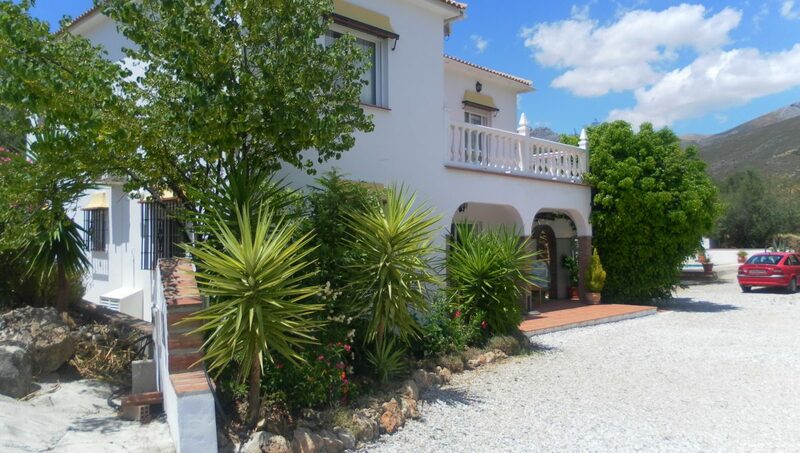 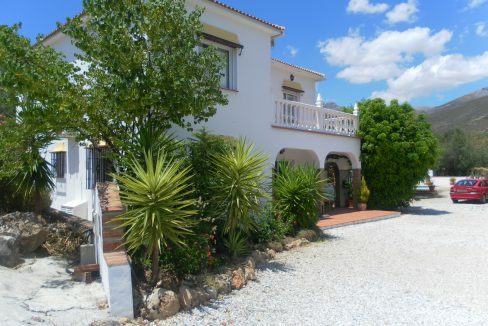 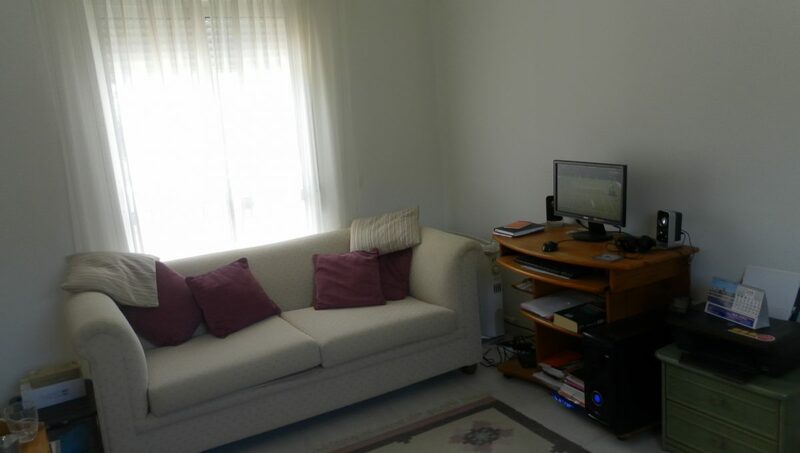 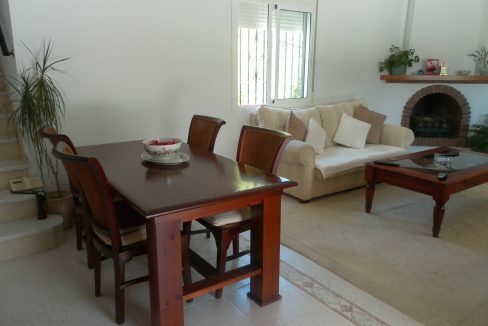 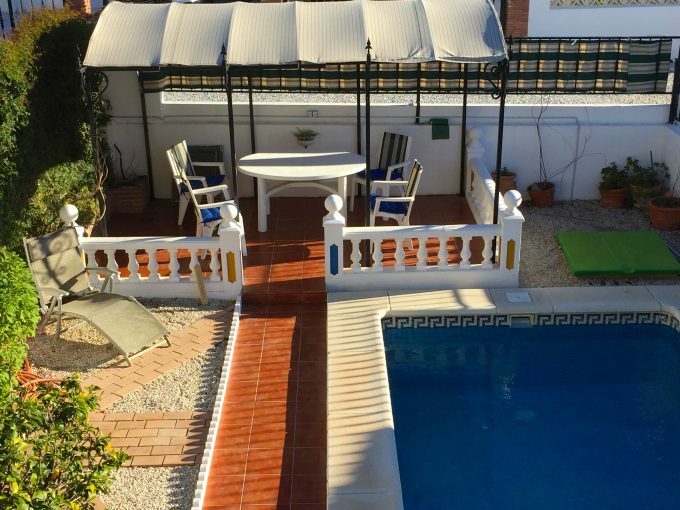 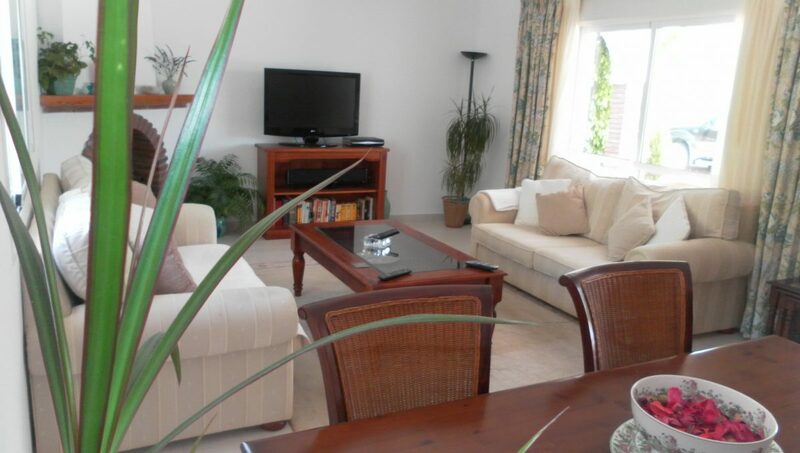 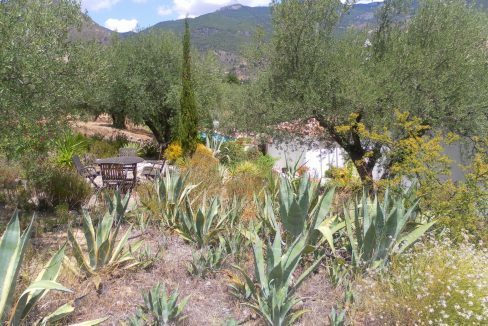 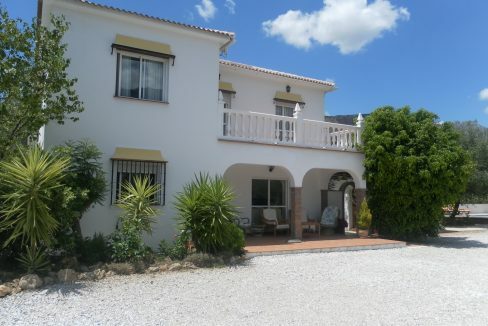 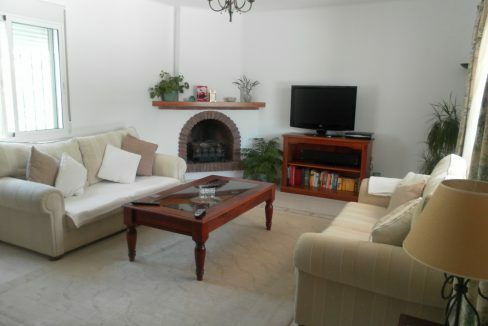 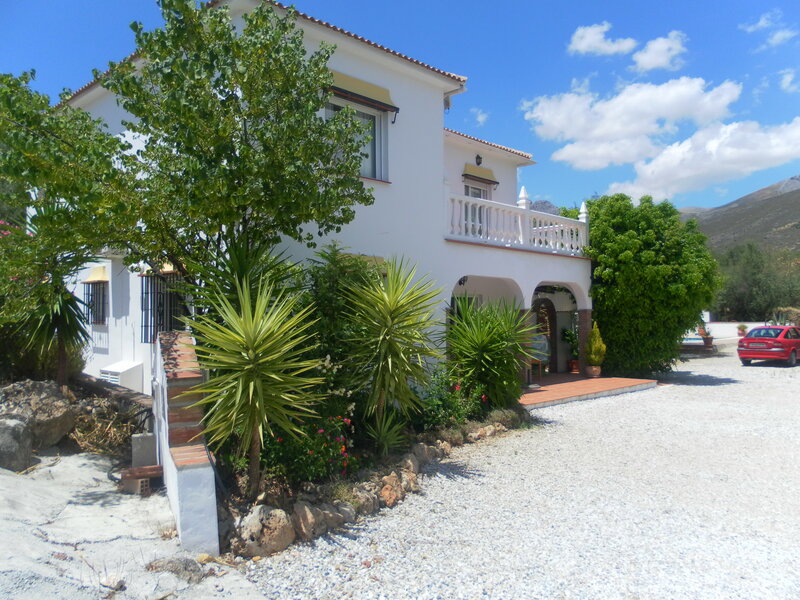 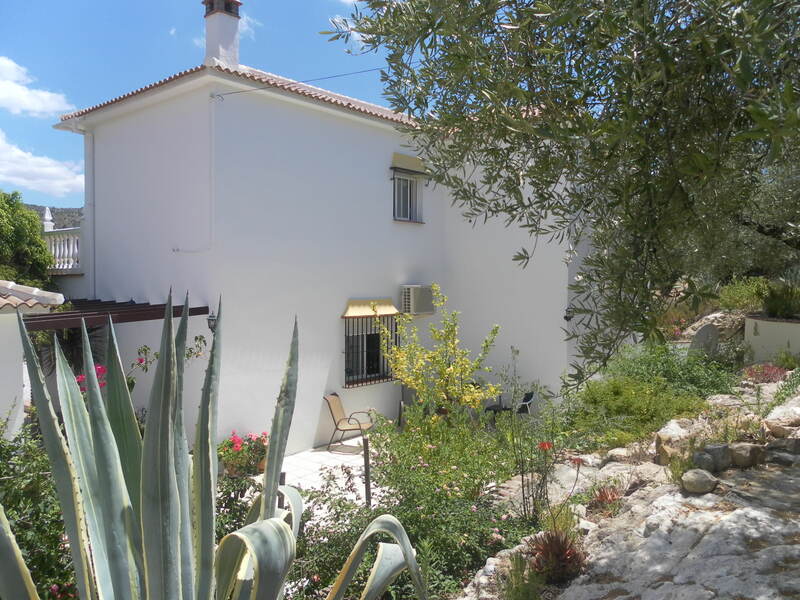 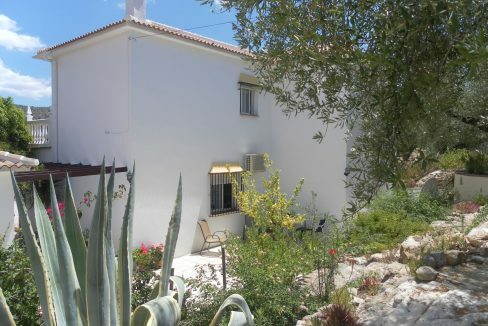 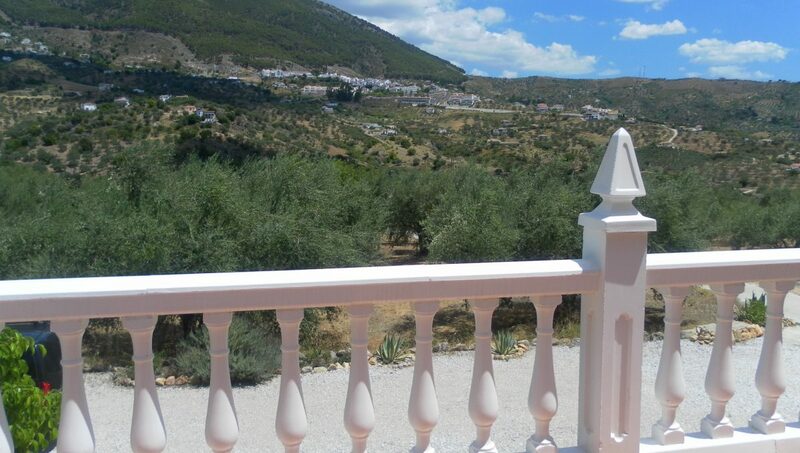 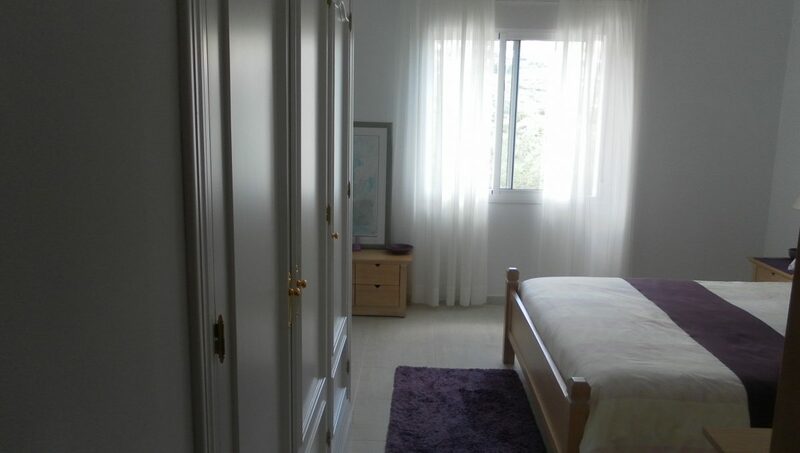 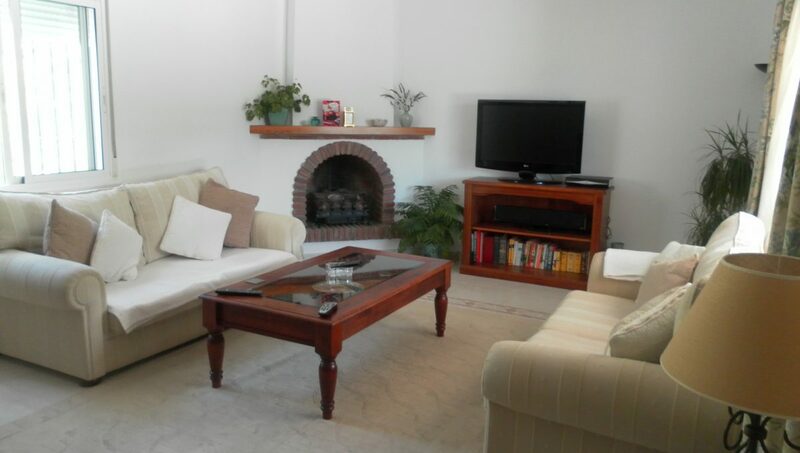 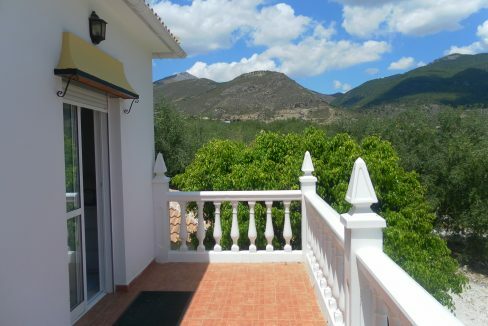 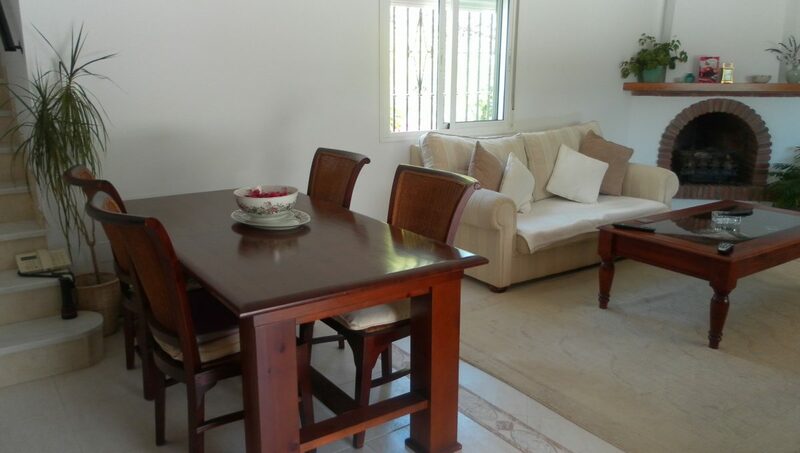 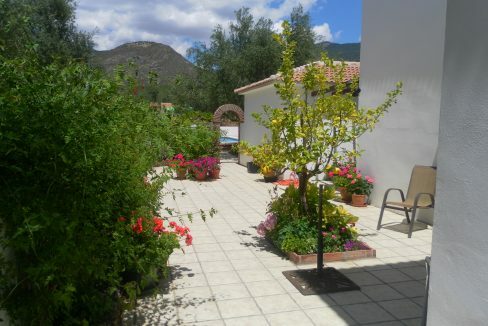 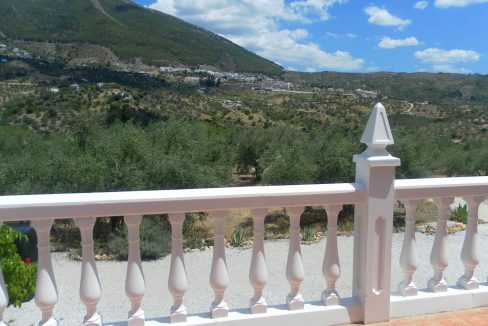 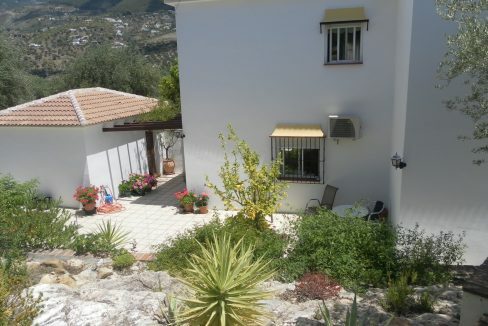 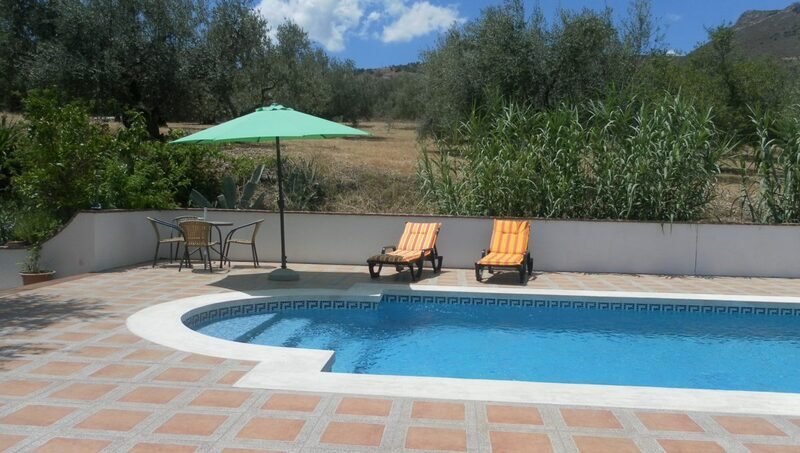 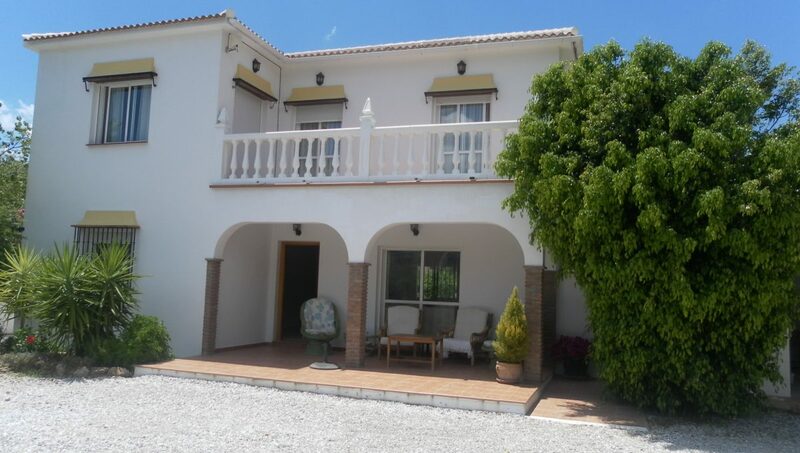 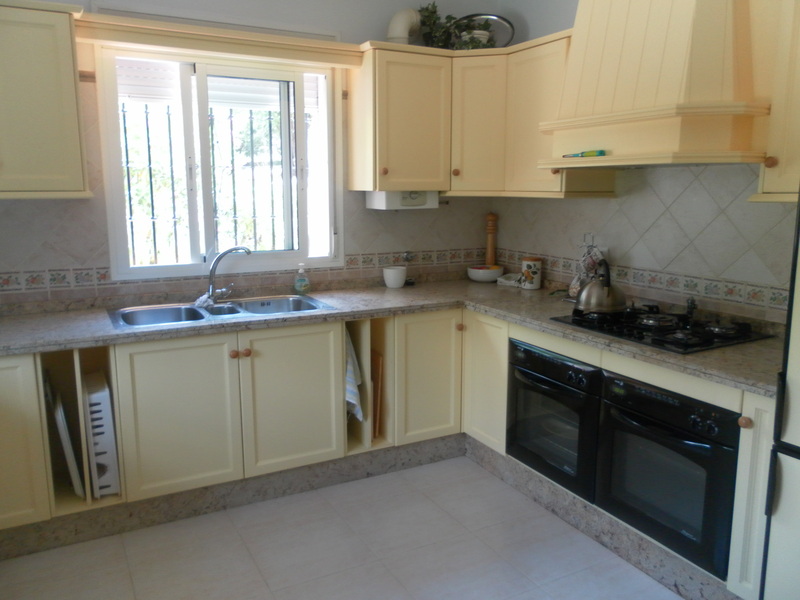 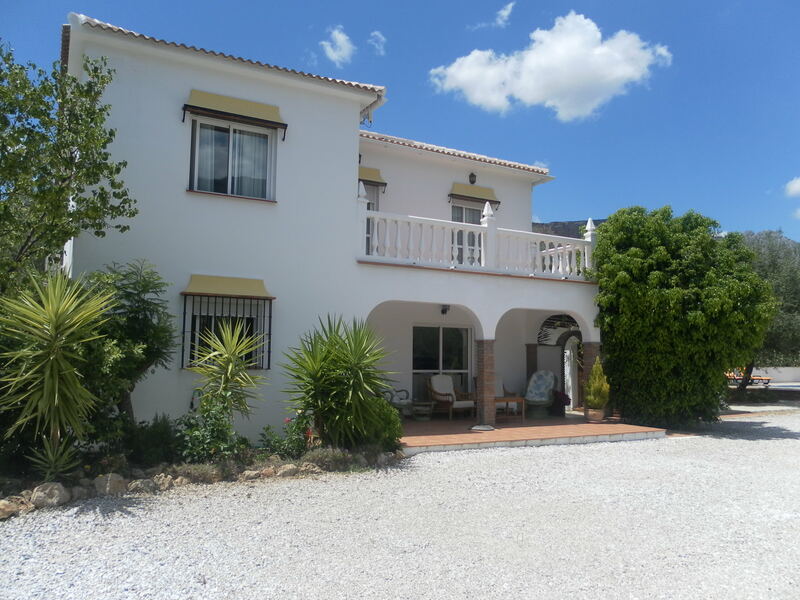 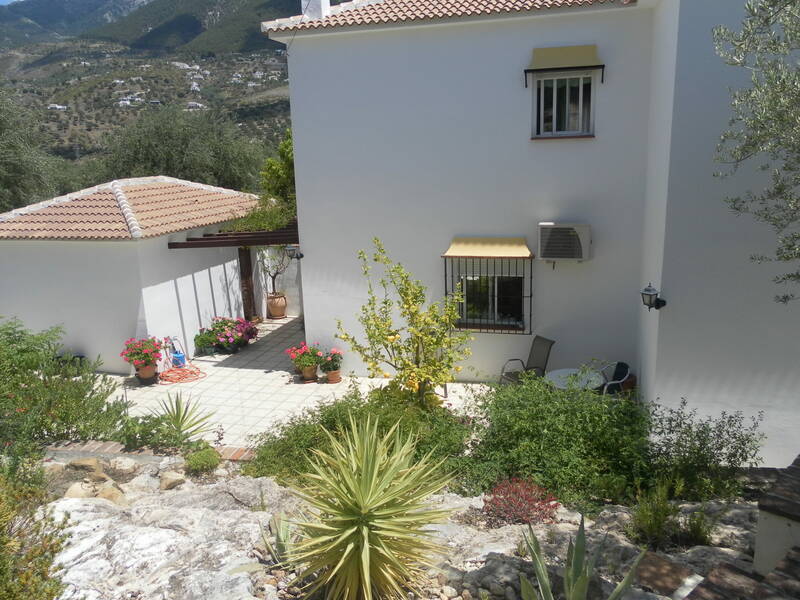 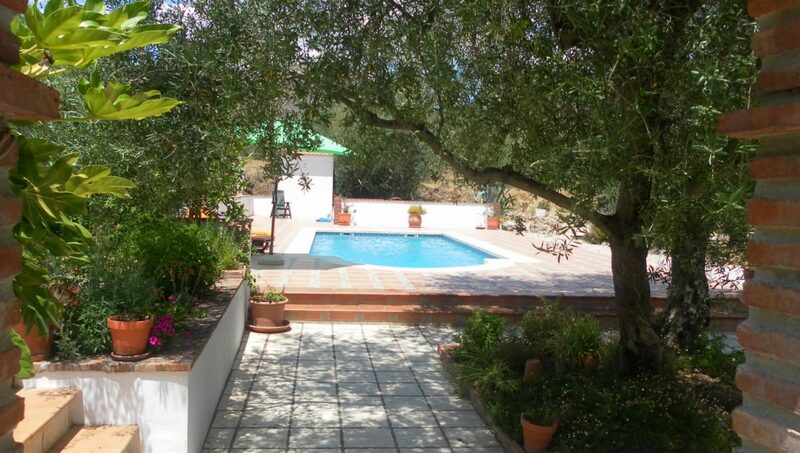 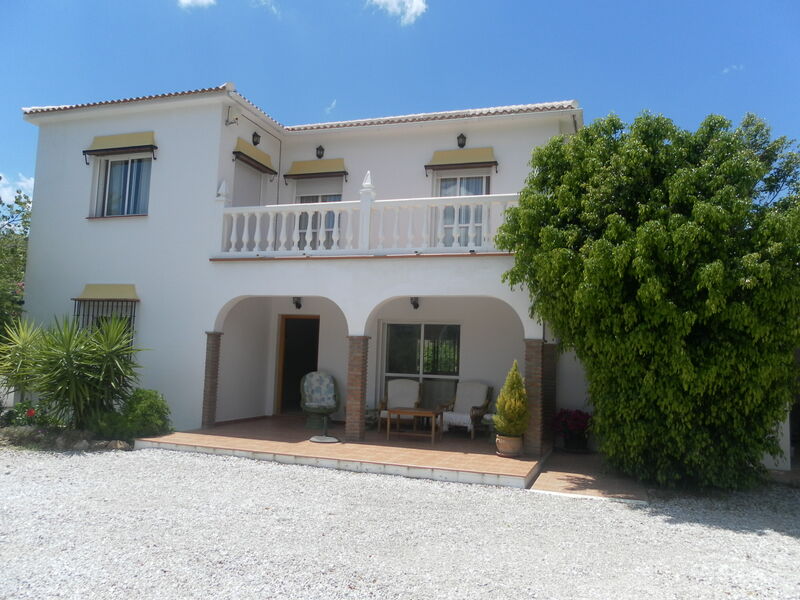 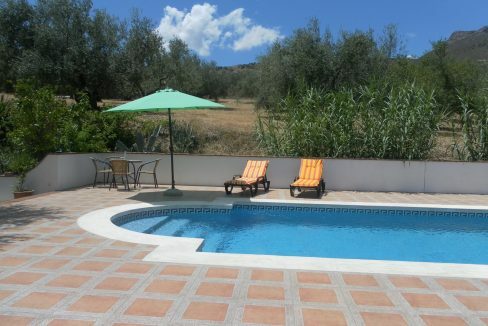 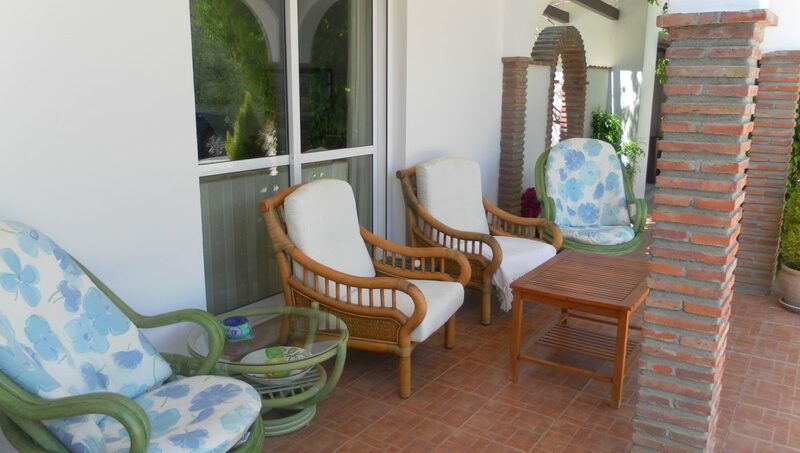 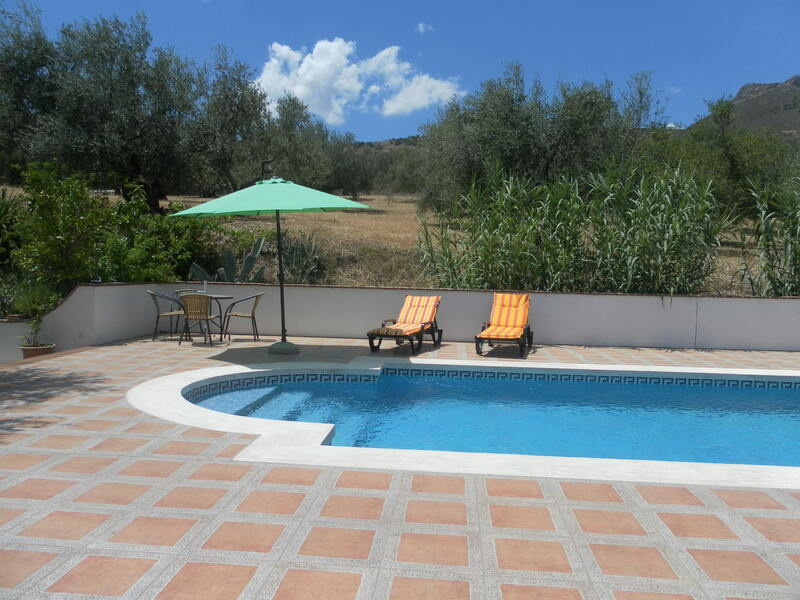 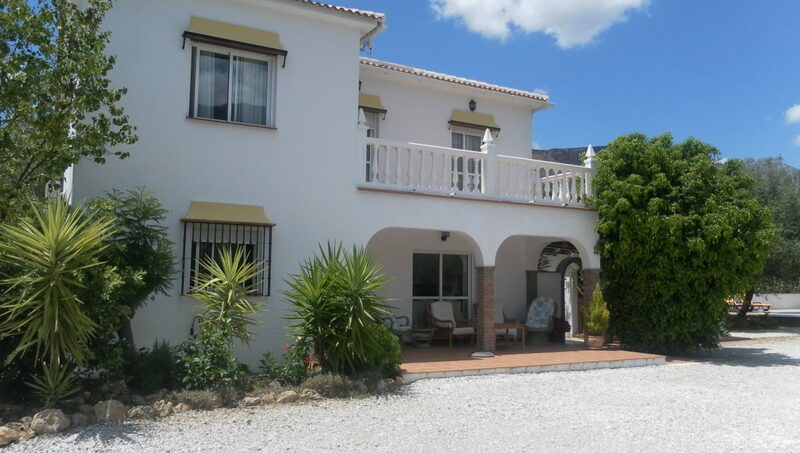 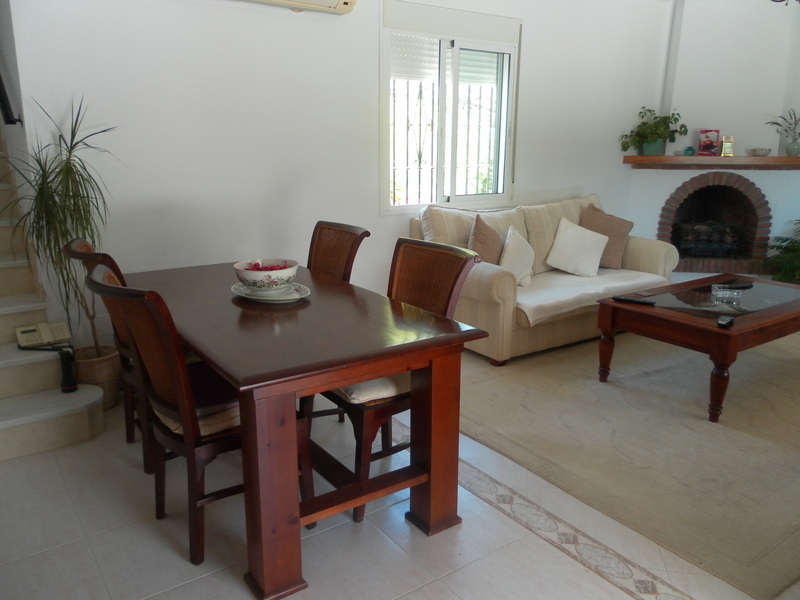 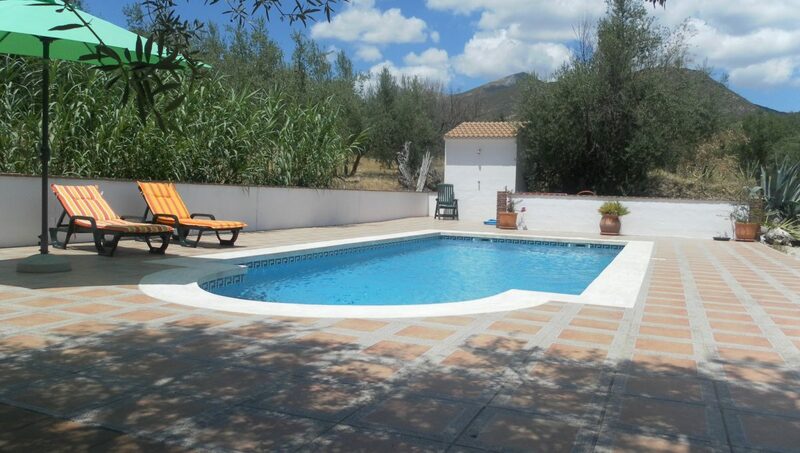 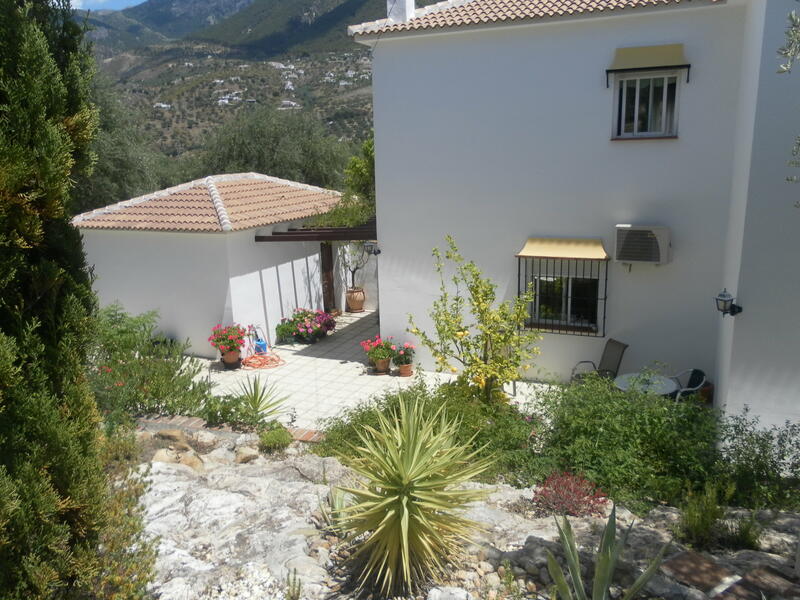 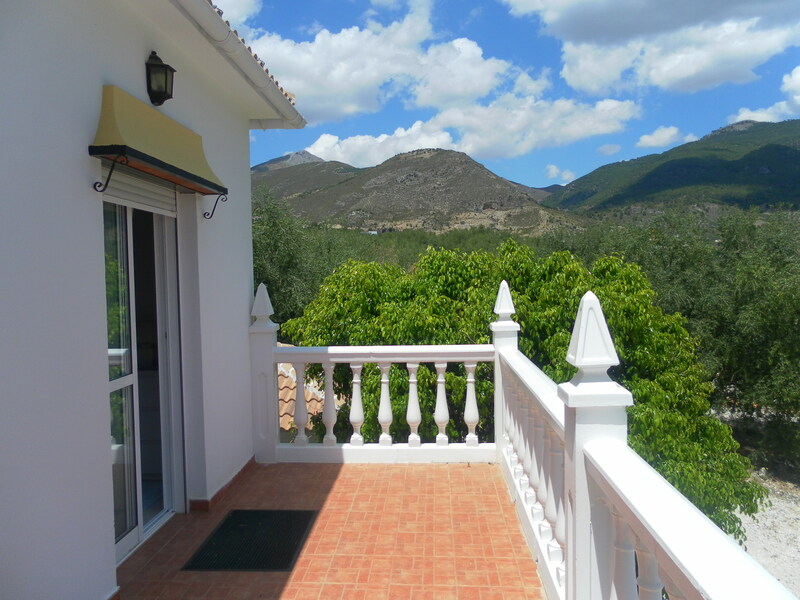 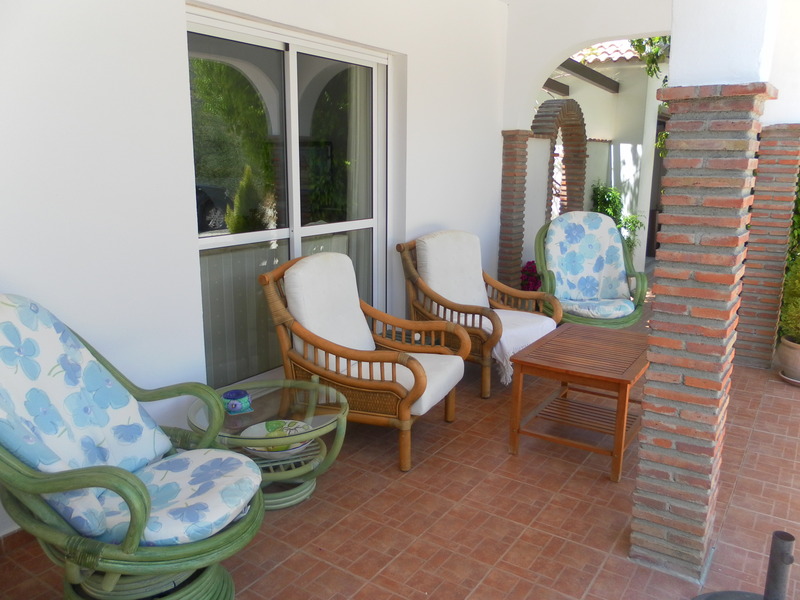 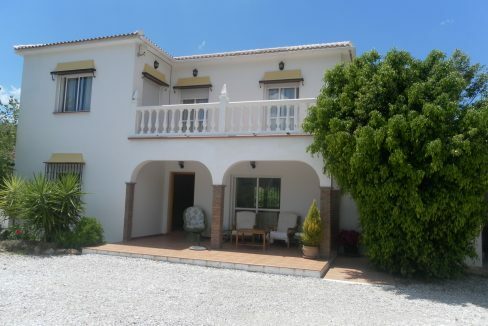 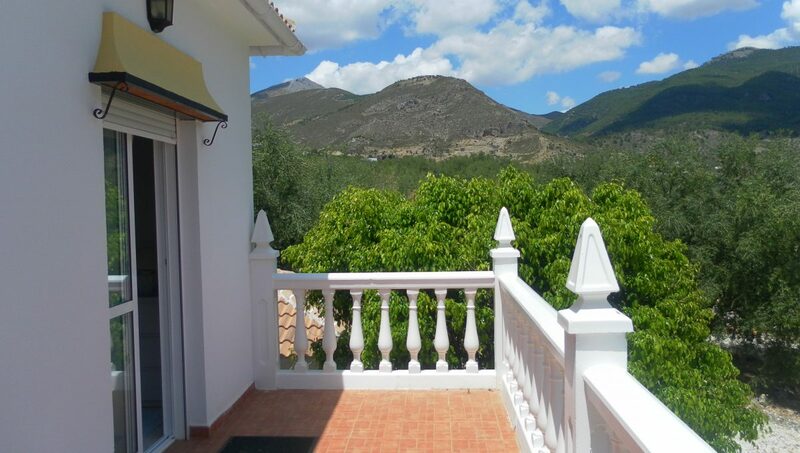 This lovely 3-4 bedroom, 3 bath villa is set in an idylic position with breathtaking views of the mountains and countryside, a light and airy villa very tastefully decorated. 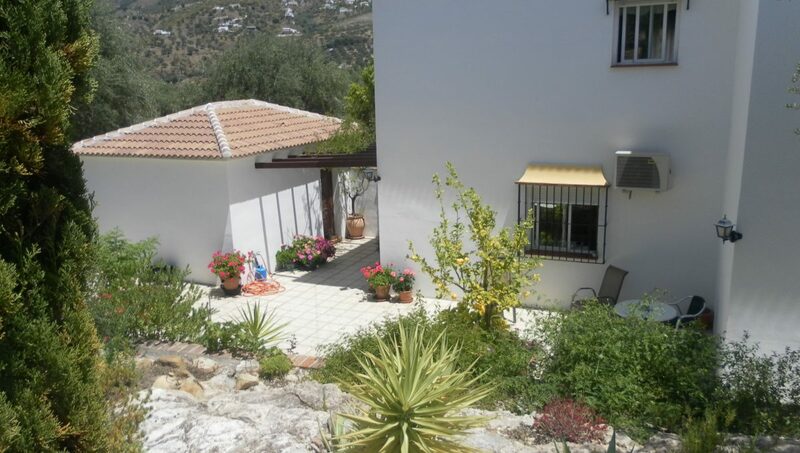 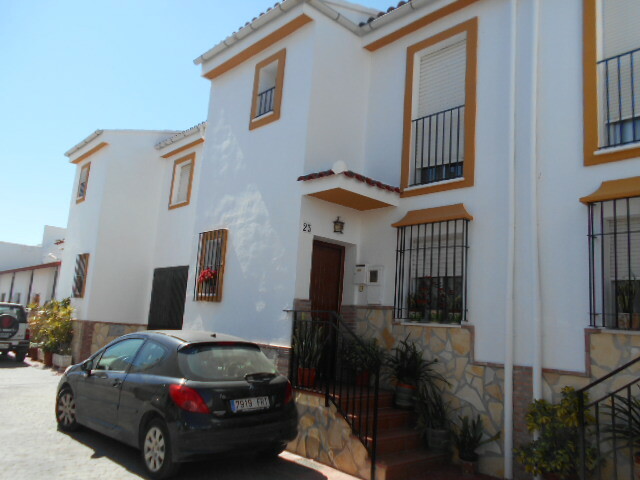 Set over 2 storeys on a plot of 2,000m2 with a build of 140m2 plus garage, built in 2002. 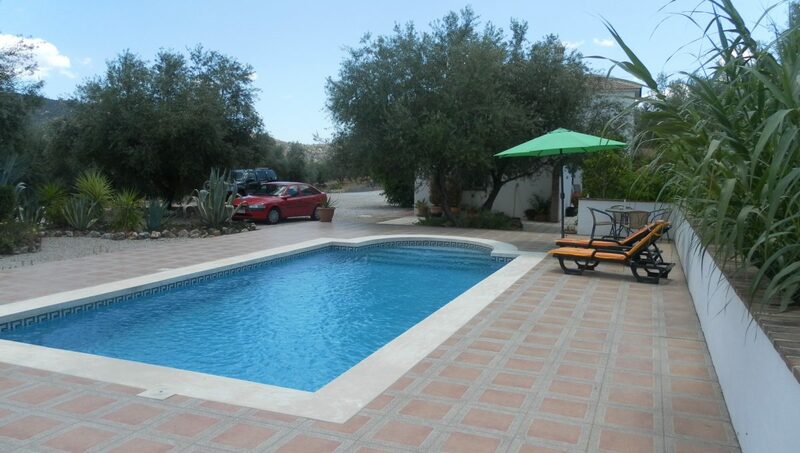 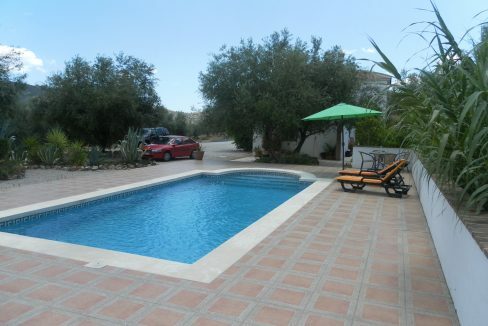 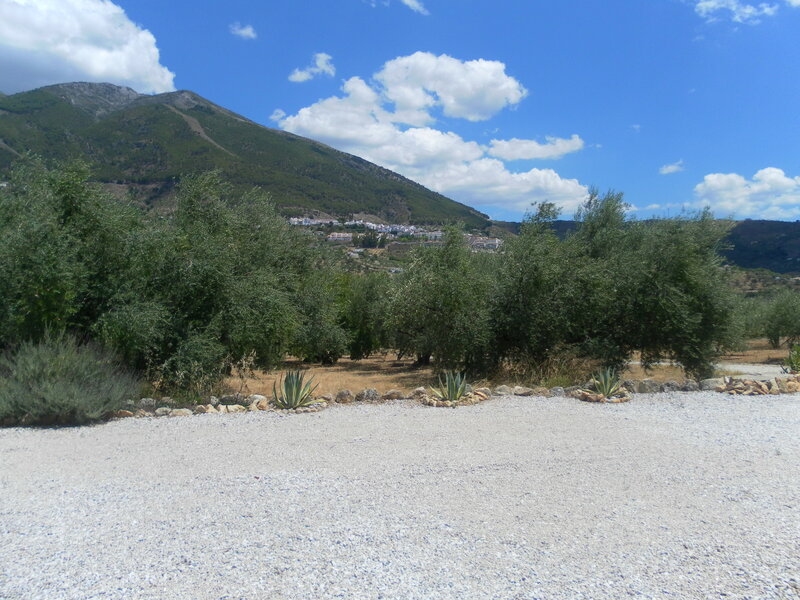 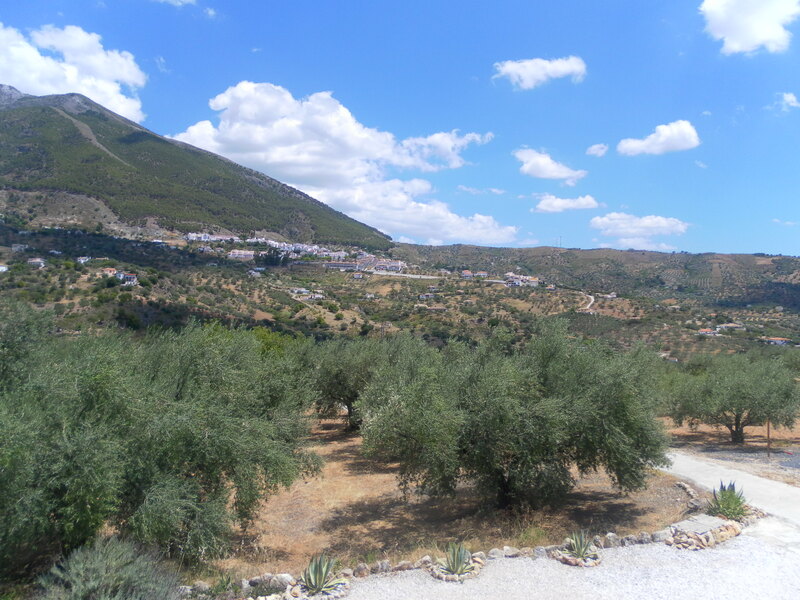 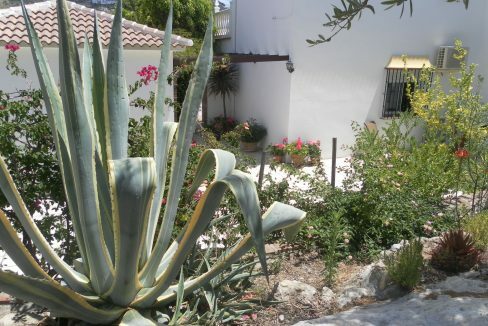 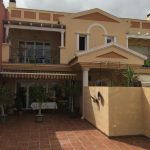 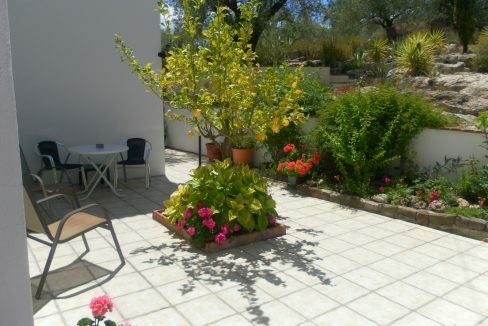 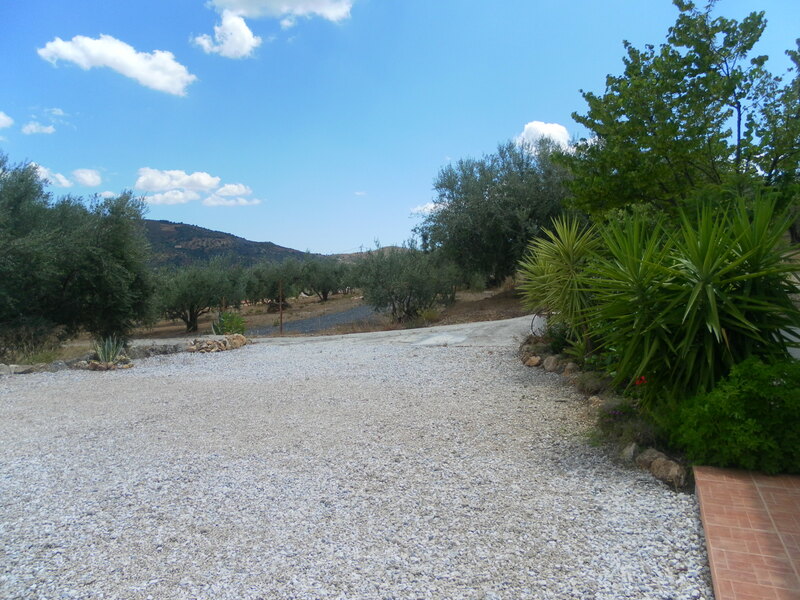 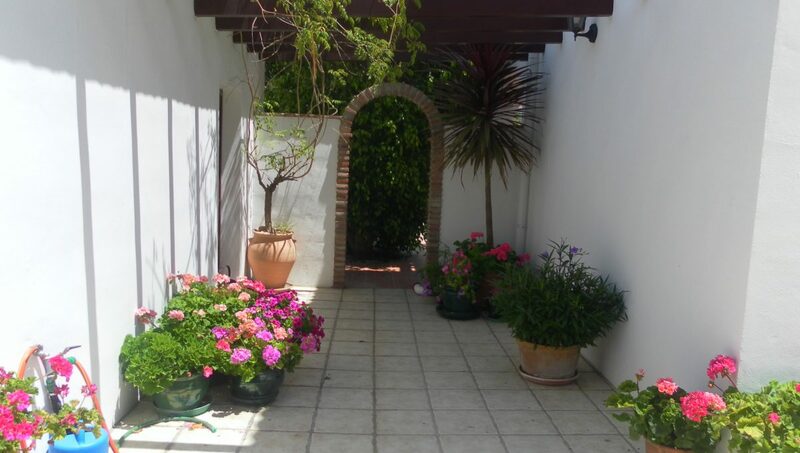 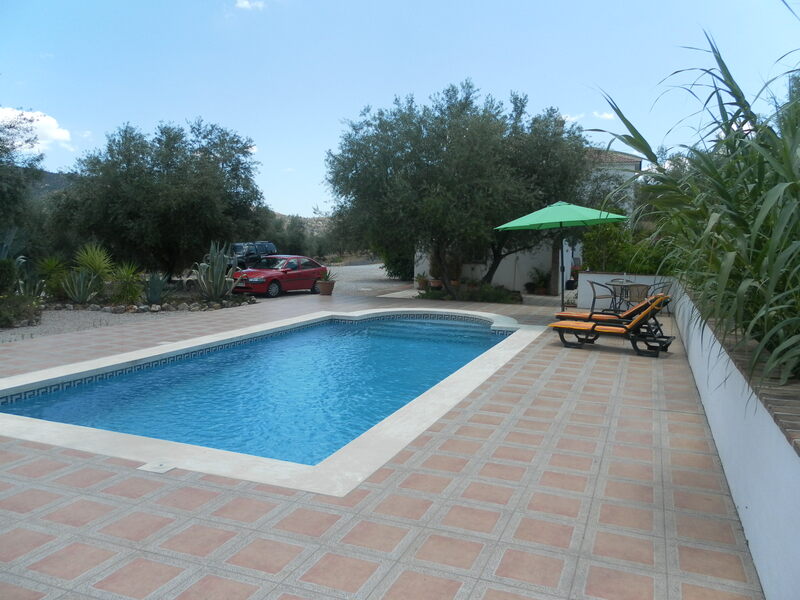 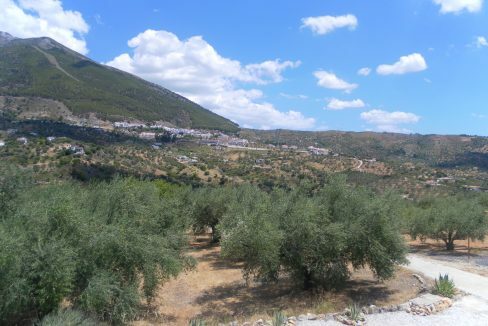 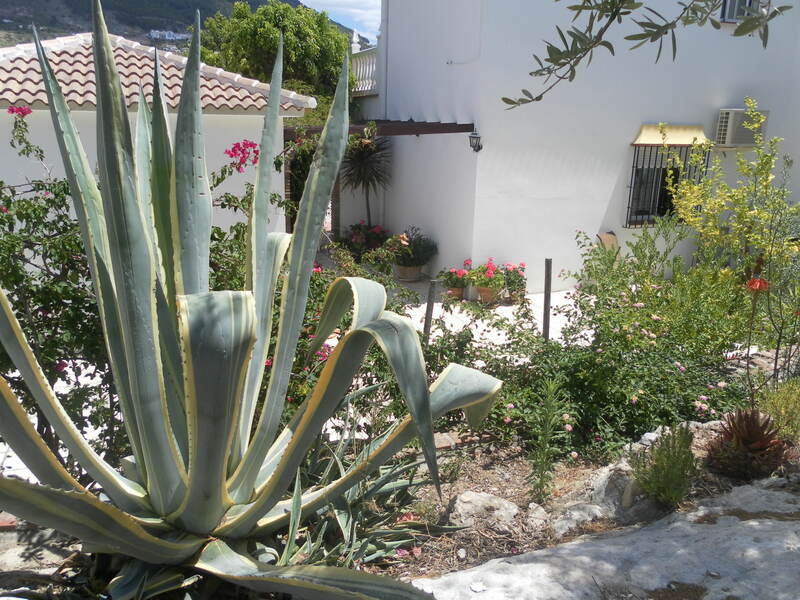 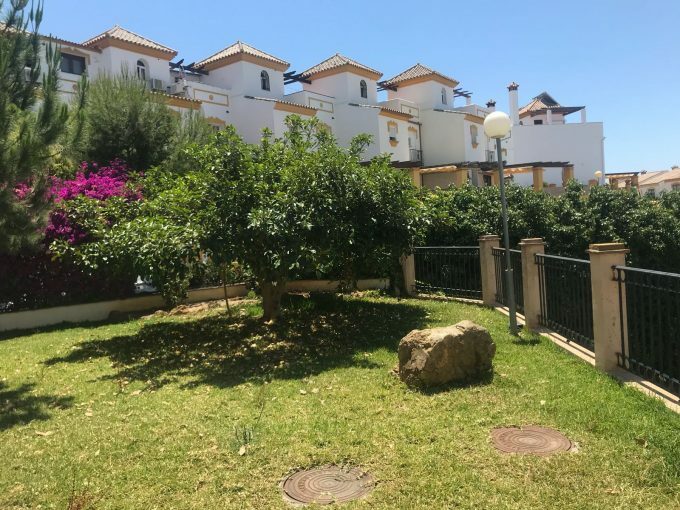 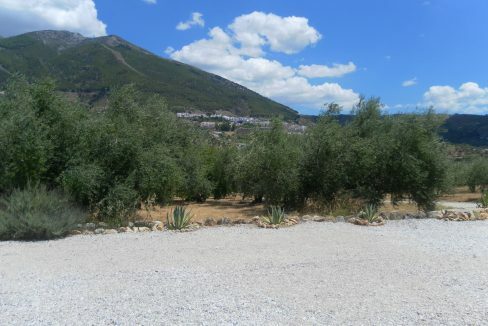 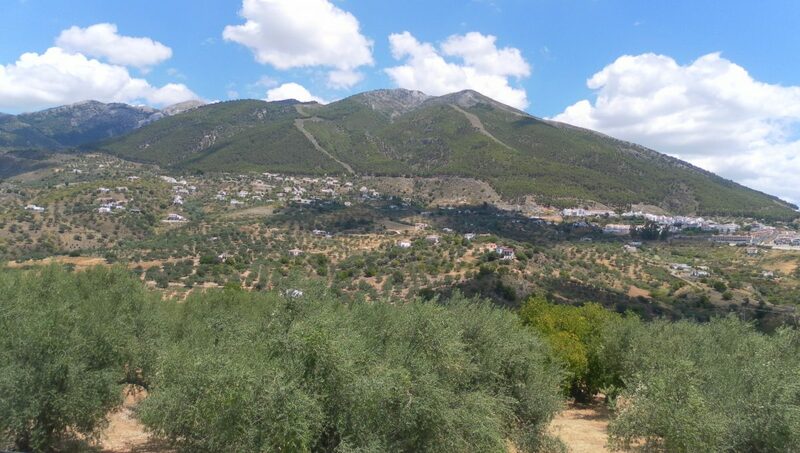 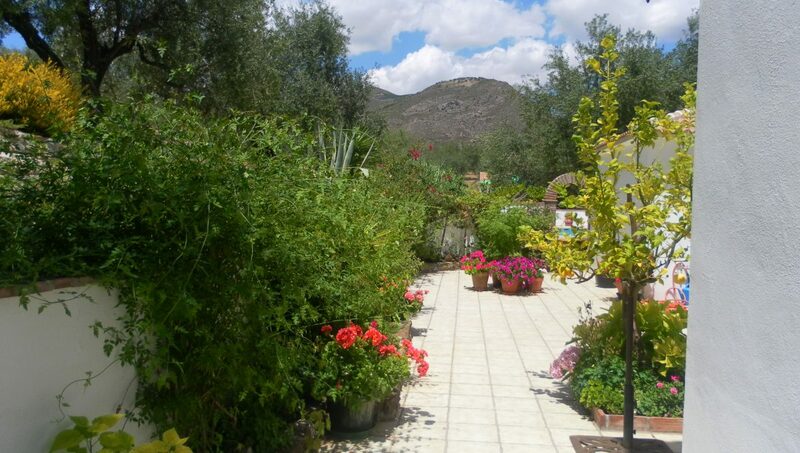 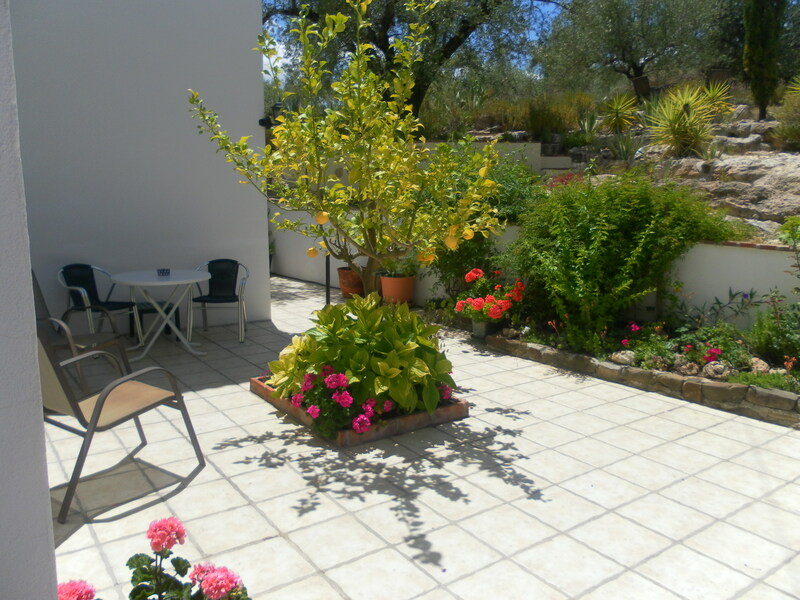 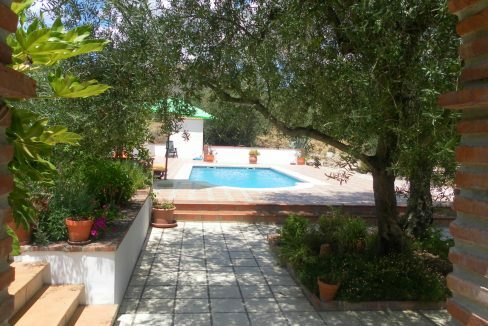 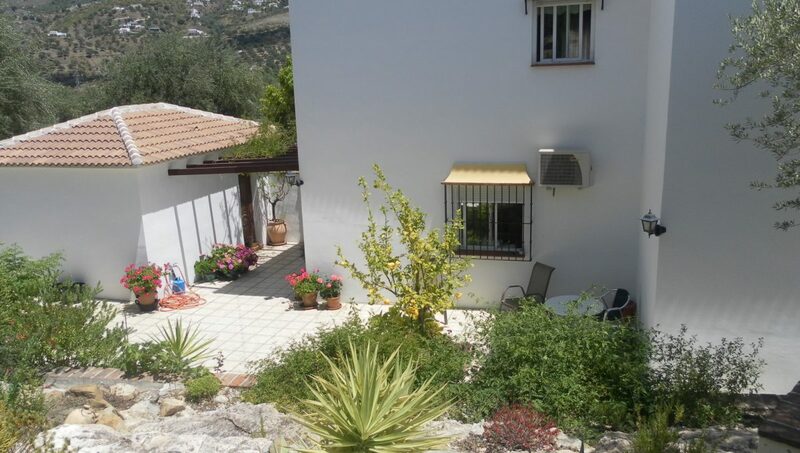 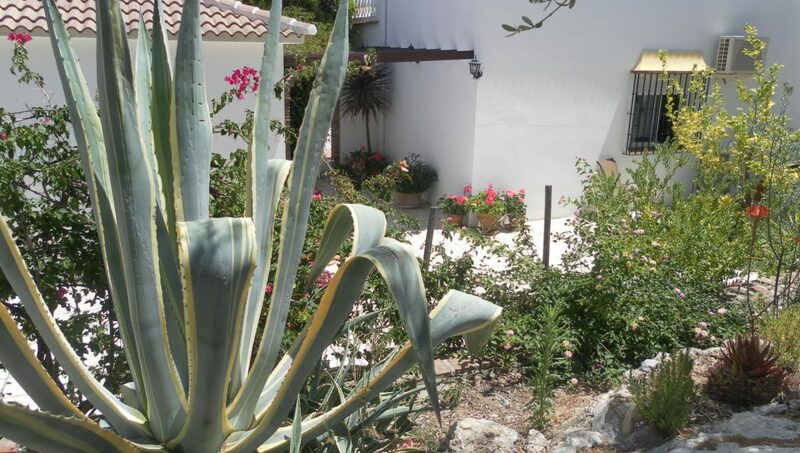 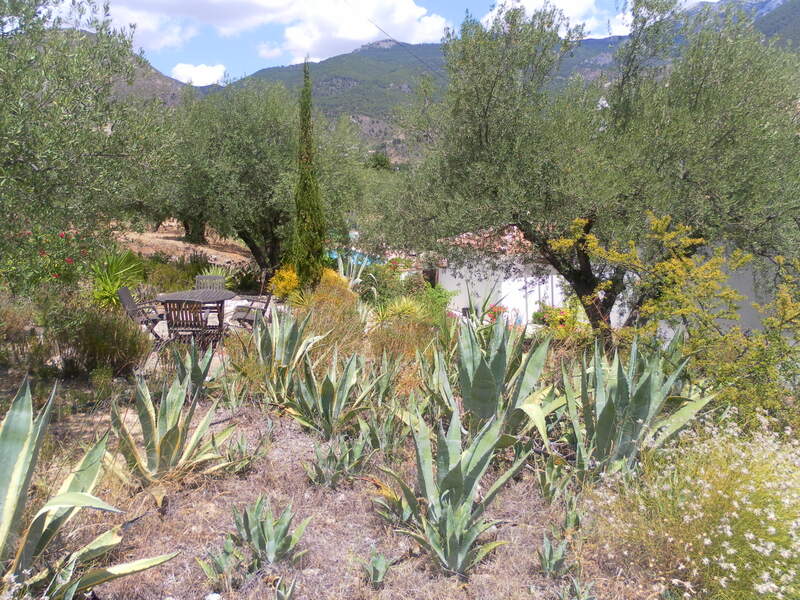 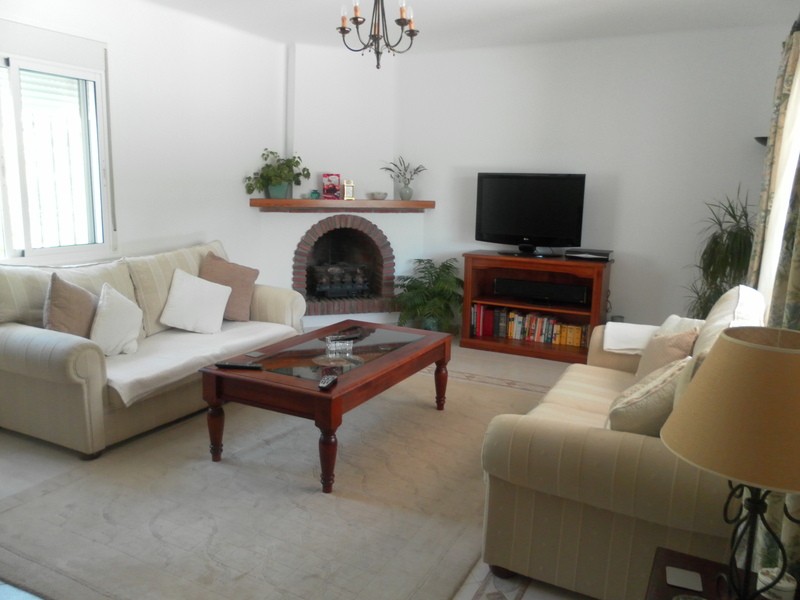 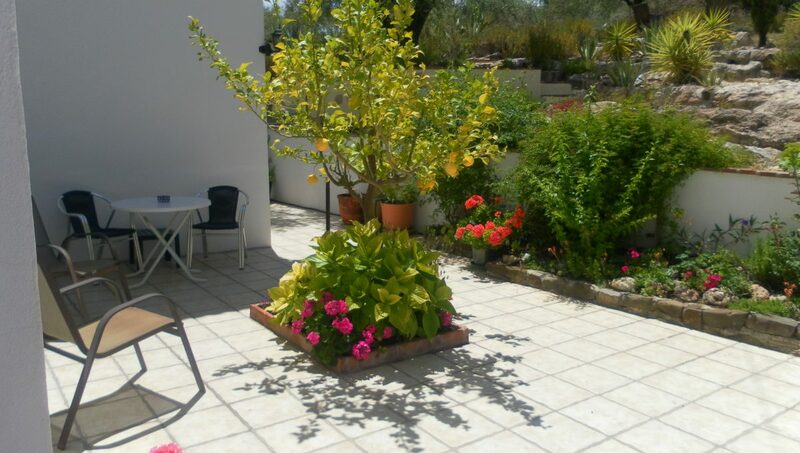 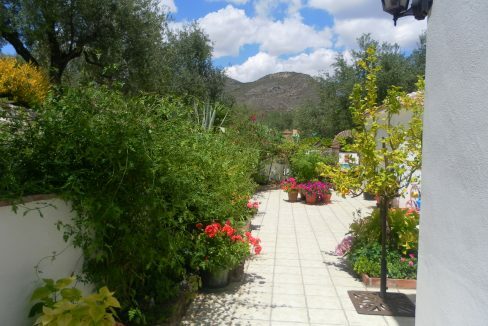 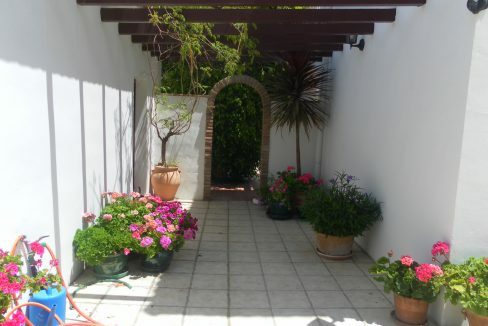 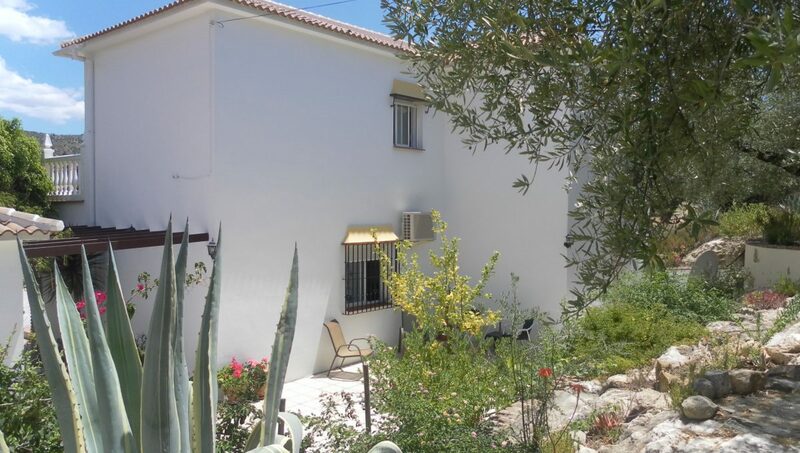 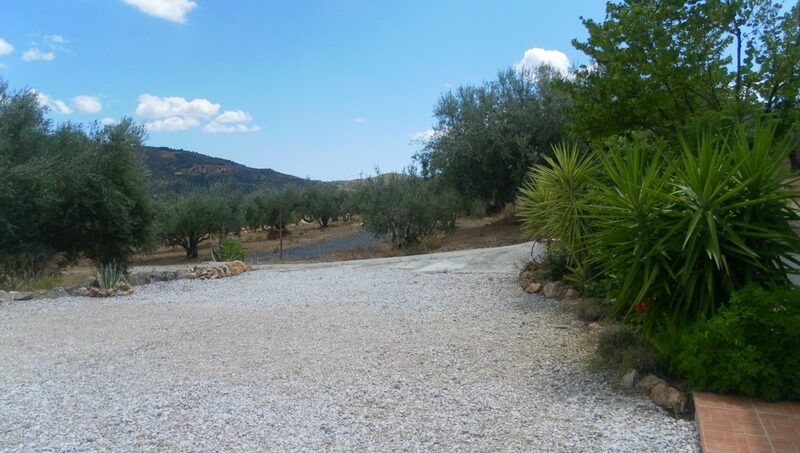 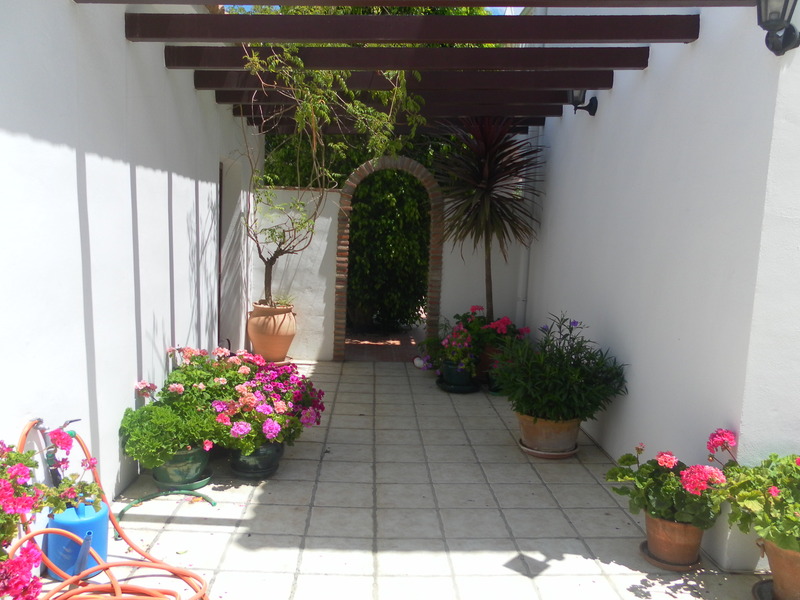 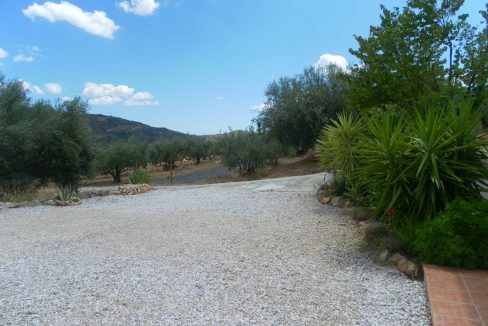 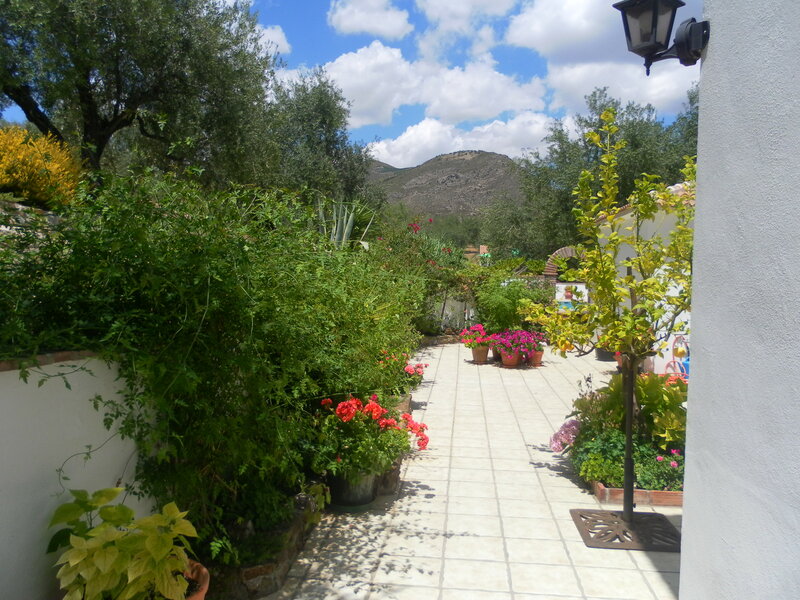 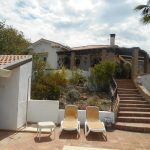 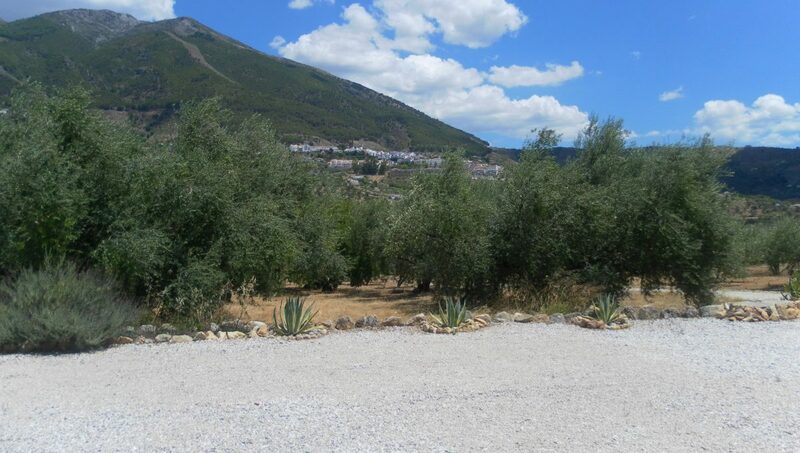 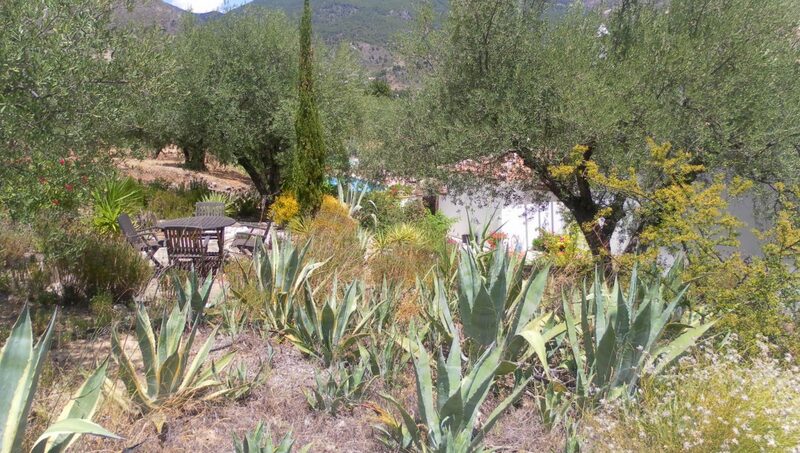 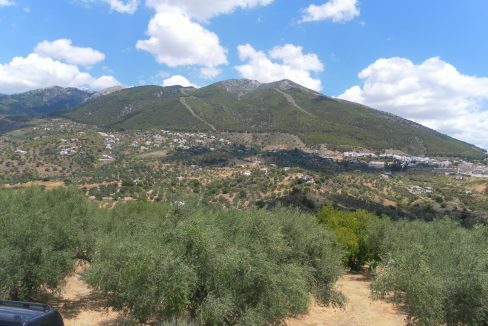 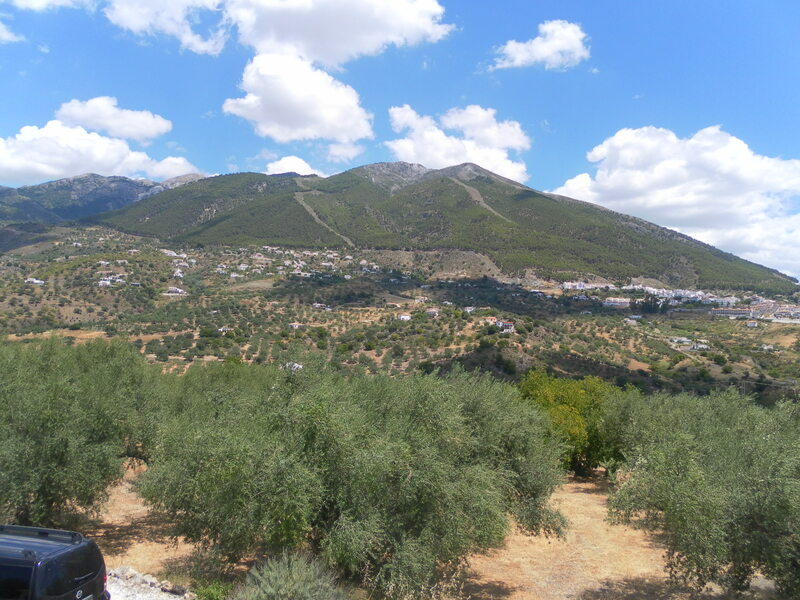 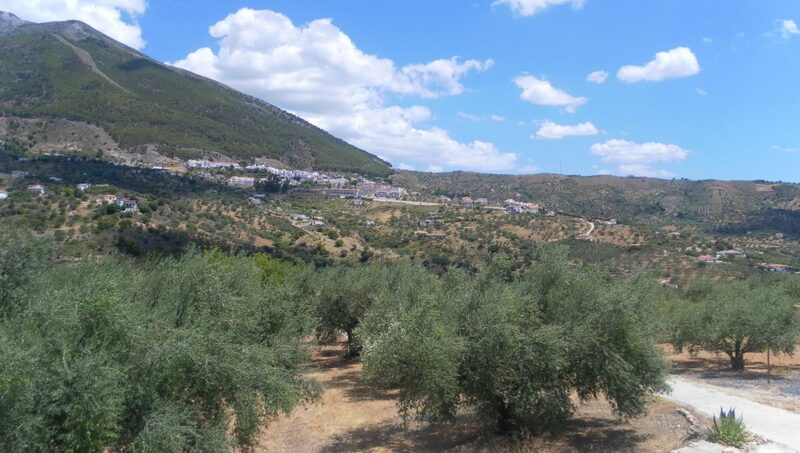 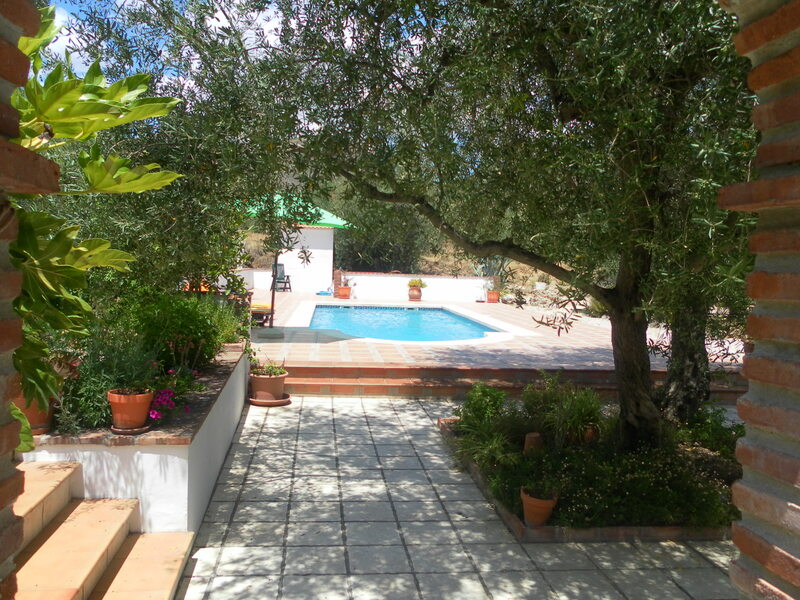 Large chino stoned driveway with parking for several cars, lovely private mature gardens with several tiered areas to sit with many shrubs and trees, well established with olive trees, paved and tiled areas. 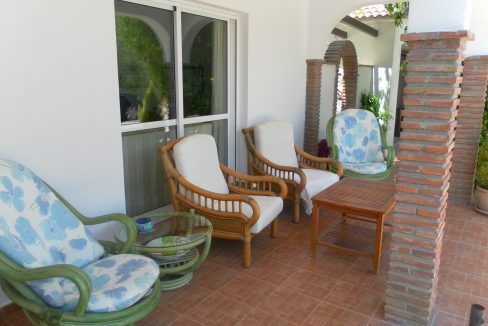 Covered front entrance with pretty arches, front door into lounge/dining area with patio doors onto terrace, open fire with chimney housing electric fire, air conditioning, brick arch into kitchen with 2 double ovens and 5 ring gas hob, fully fitted. 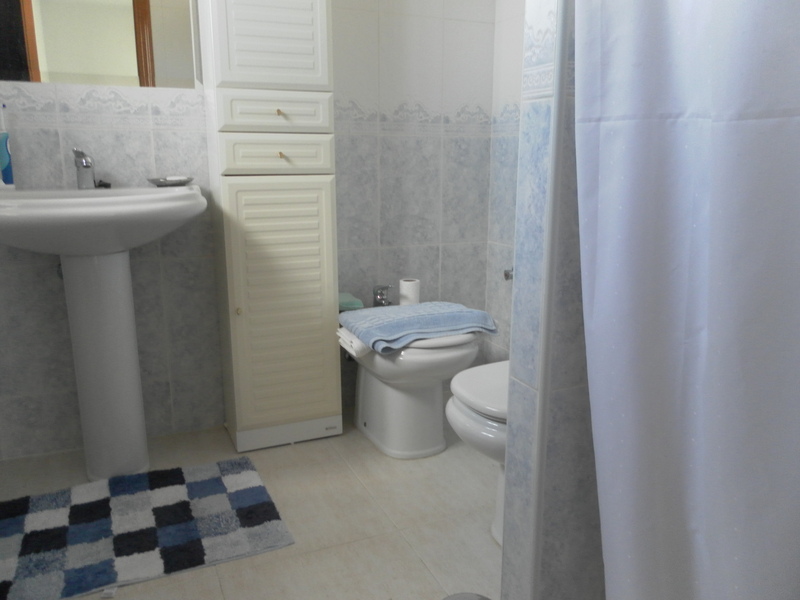 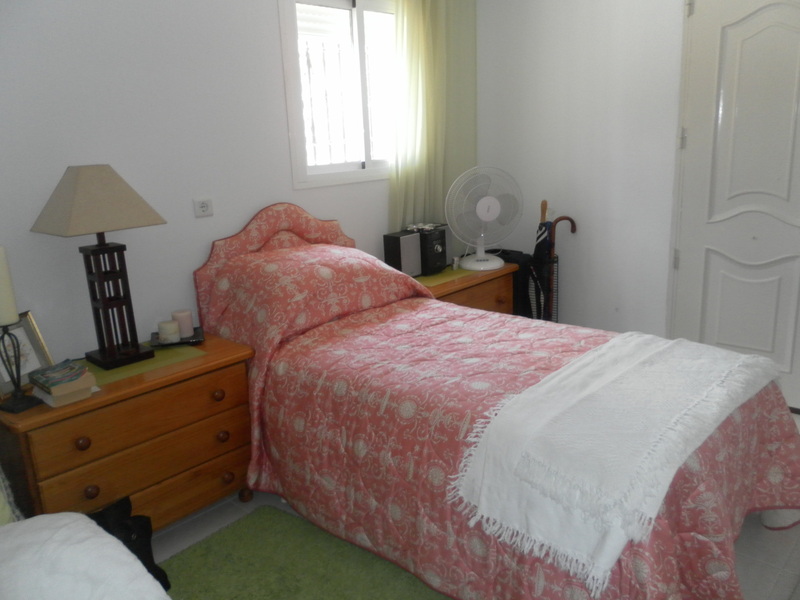 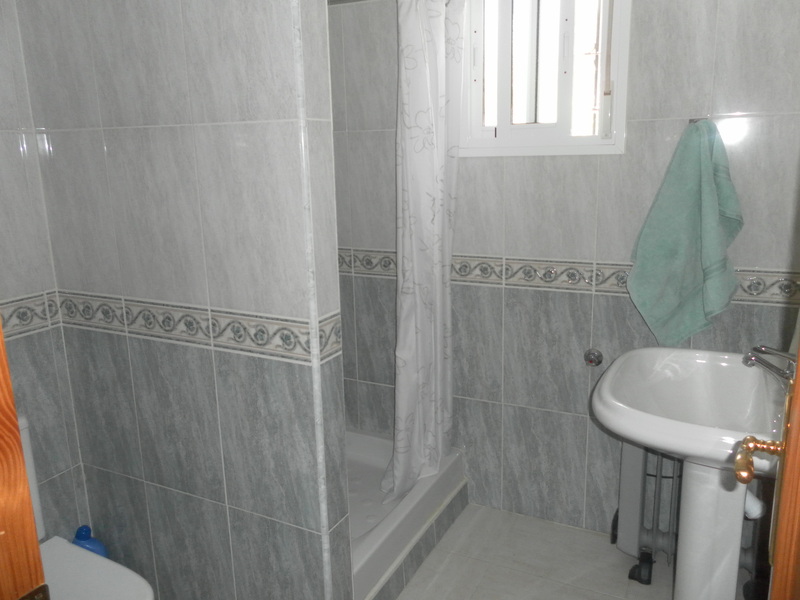 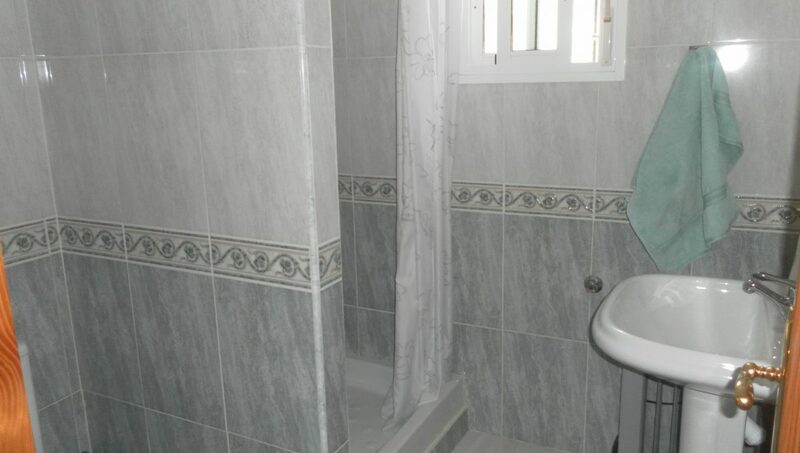 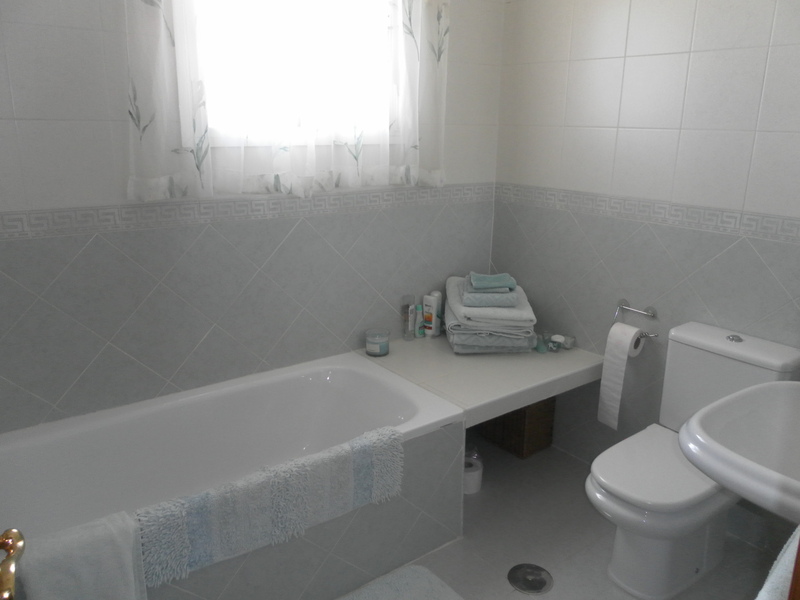 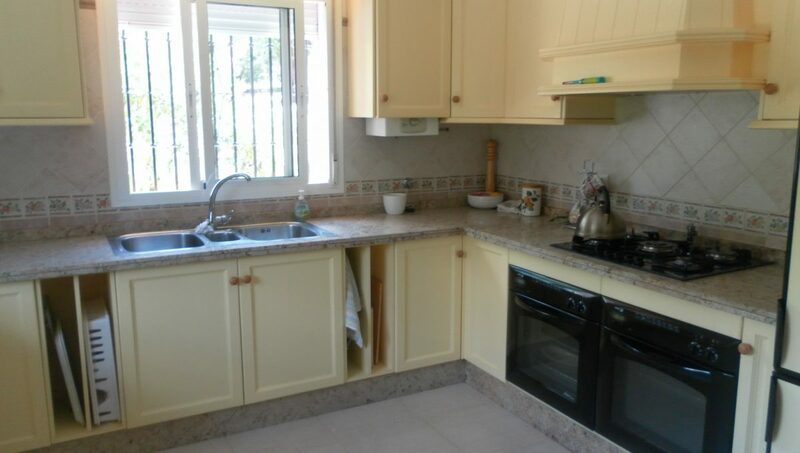 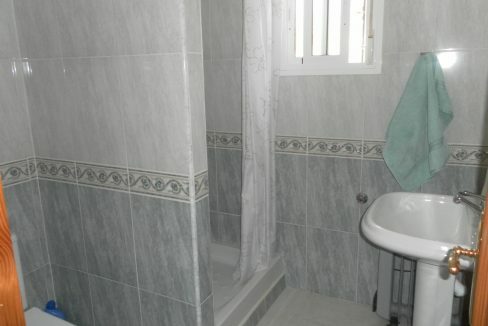 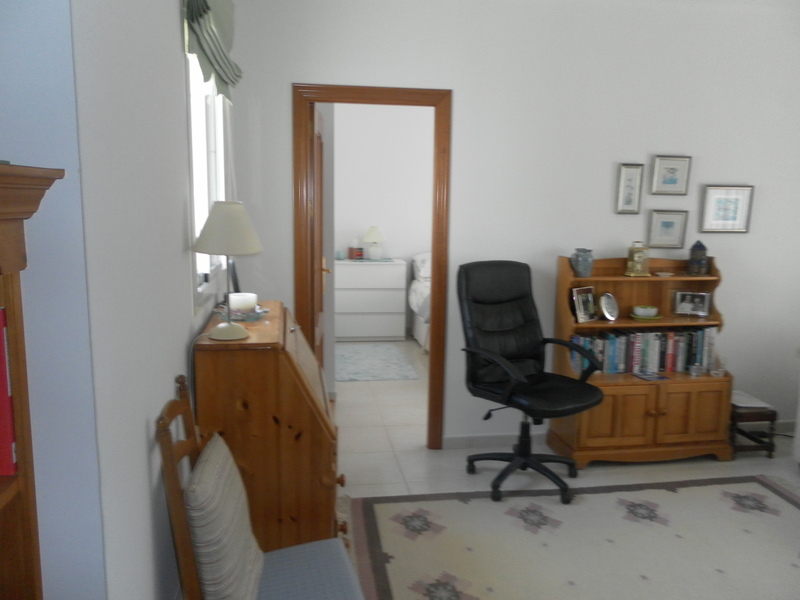 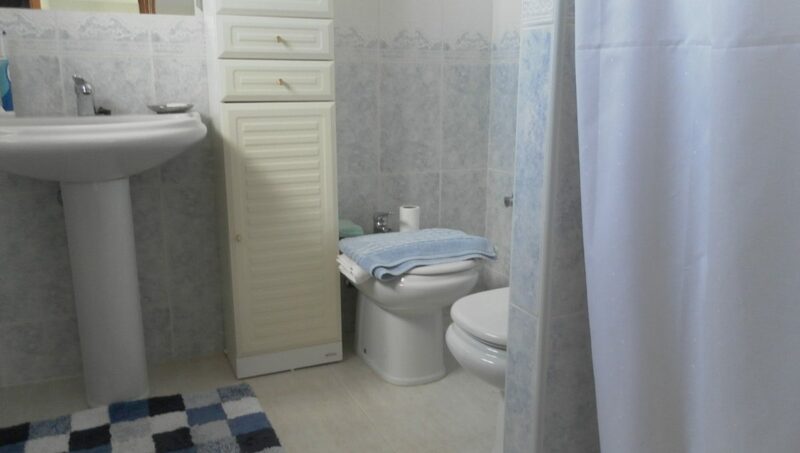 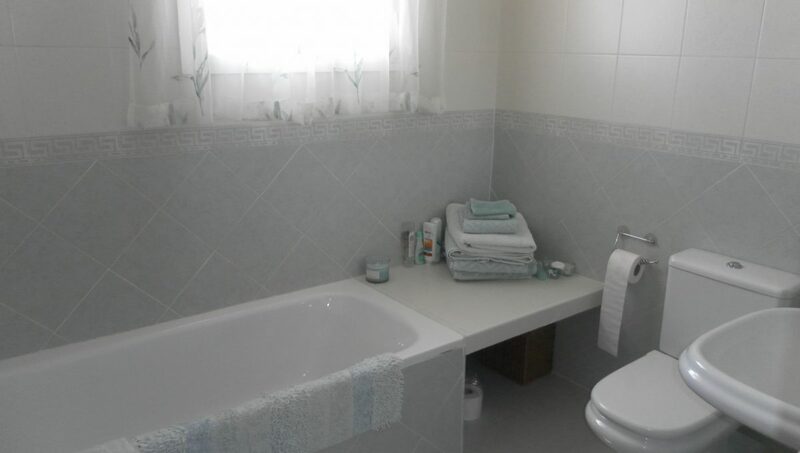 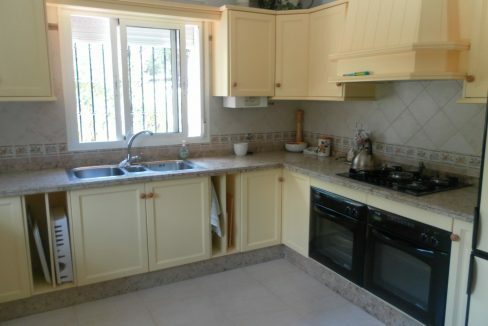 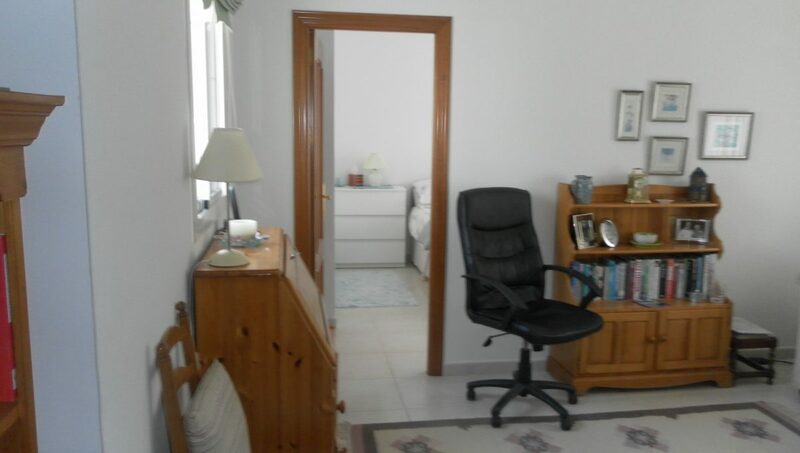 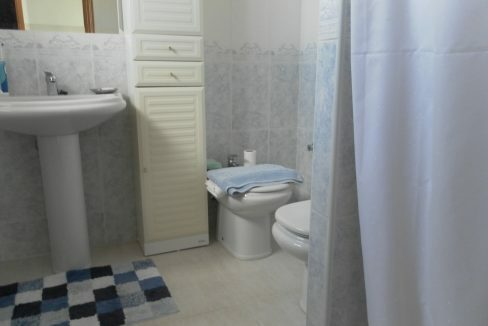 On the ground floor is a bathroom with shower and a double bedroom with door to rear of property. 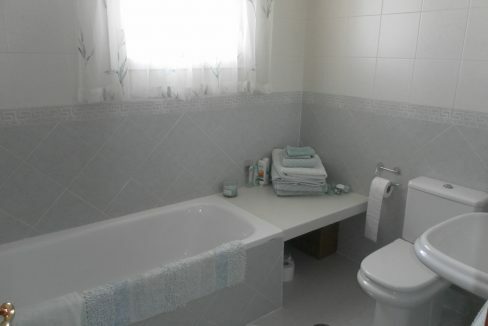 On the first floor bathroom, Master bedroom with en suite and shower, fitted wardrobes, window and patio doors onto the balcony area with amazing views to sit and peruse the countryside. 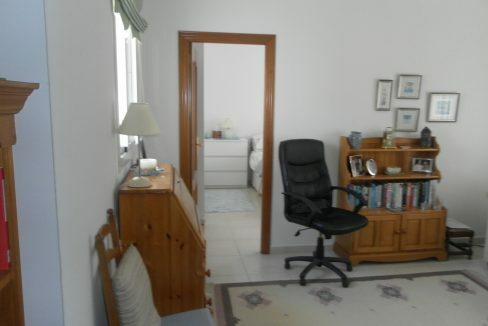 Landing area with an archway through to a sitting area with windows onto balcony, currently used as an office, but could be another bedroom or walk in dressing room. 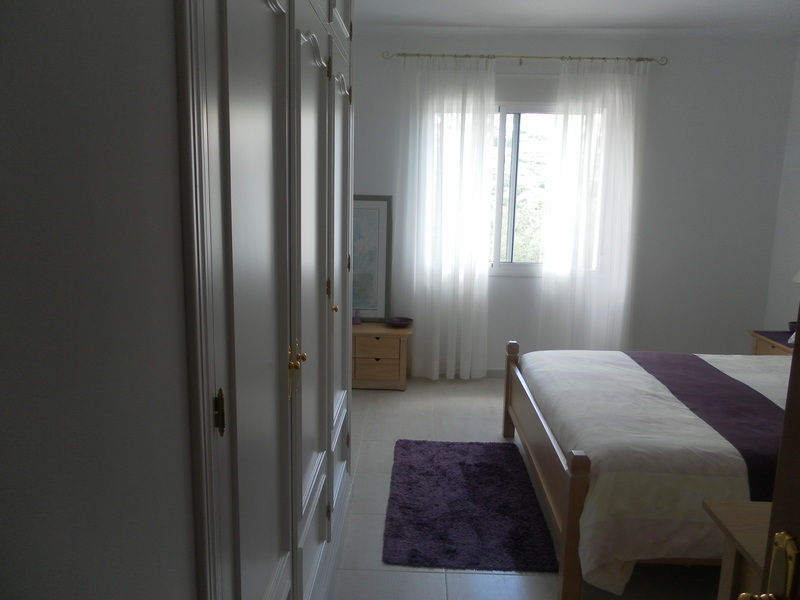 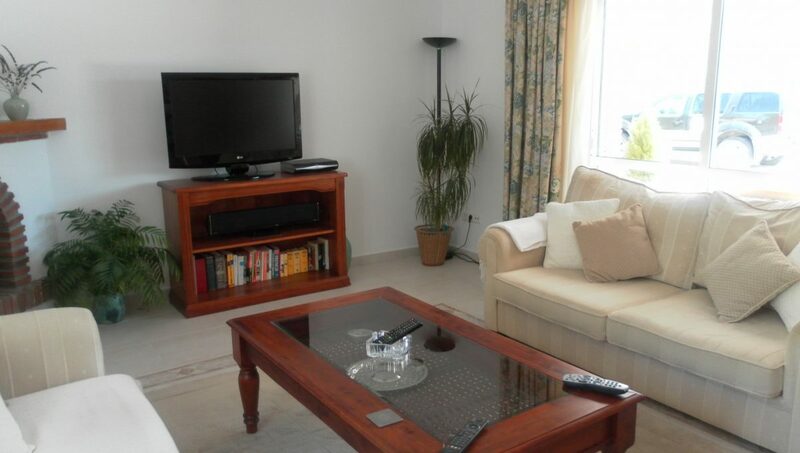 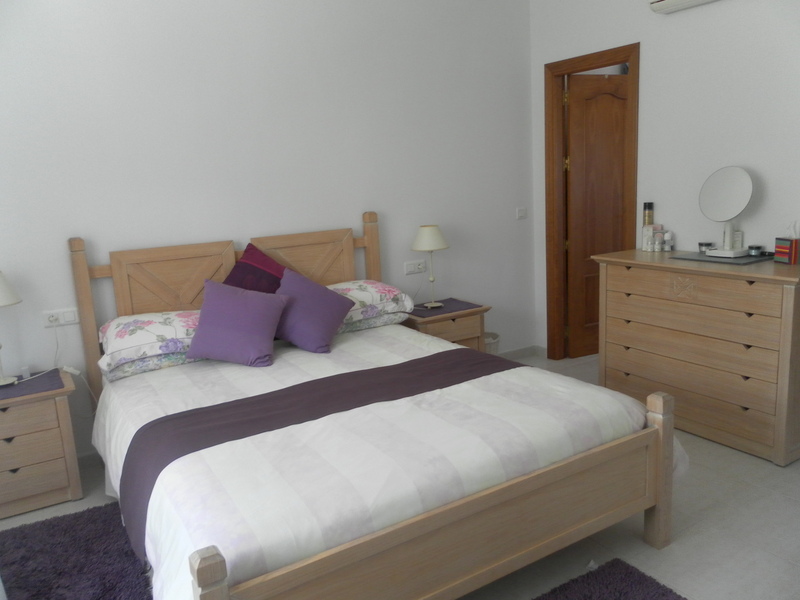 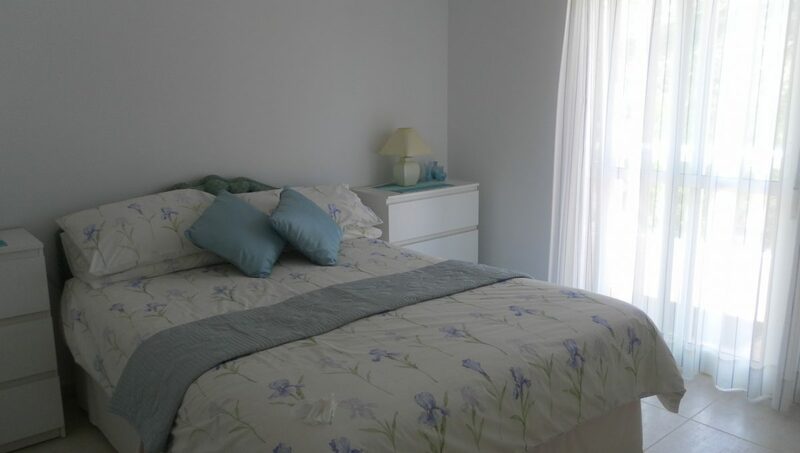 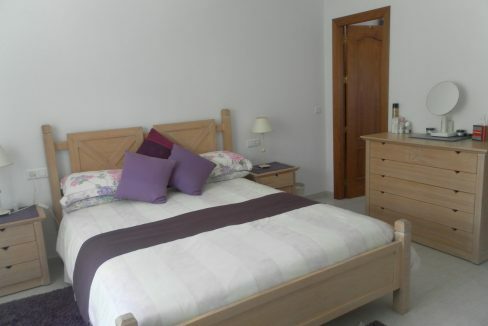 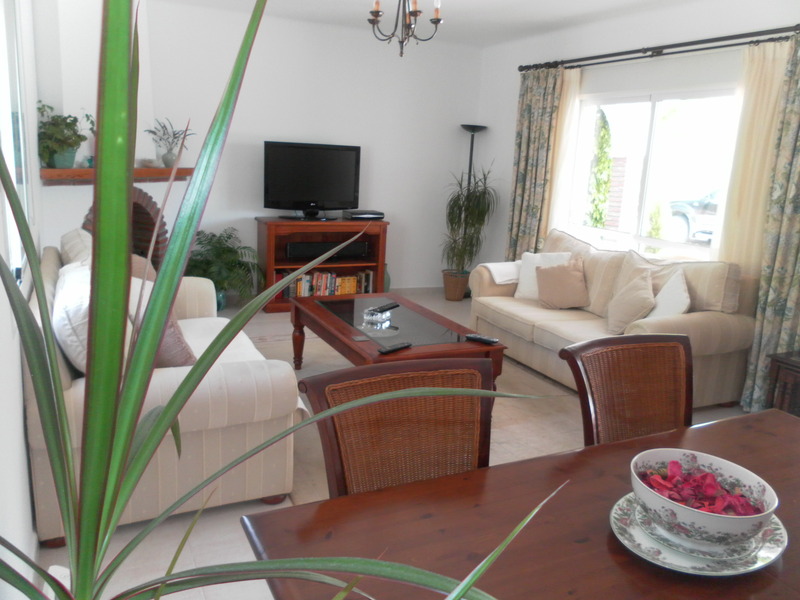 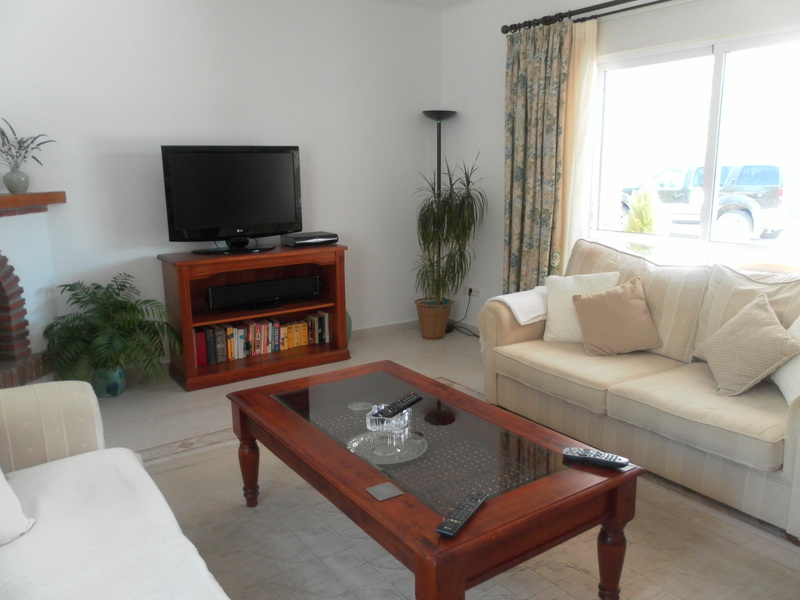 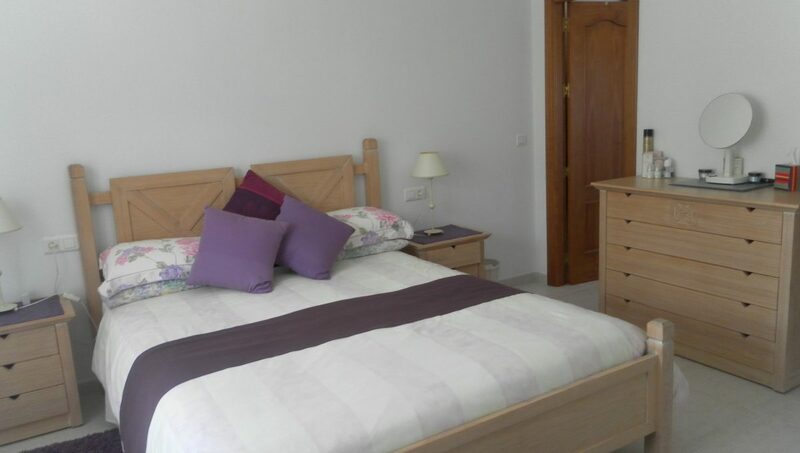 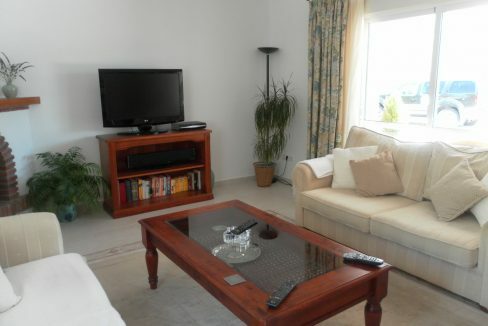 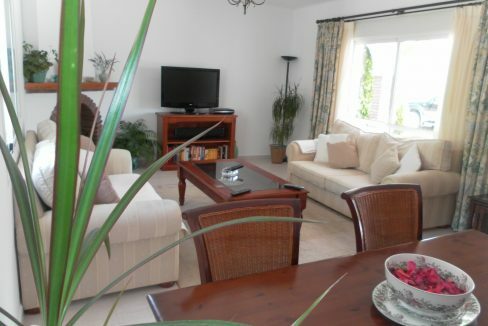 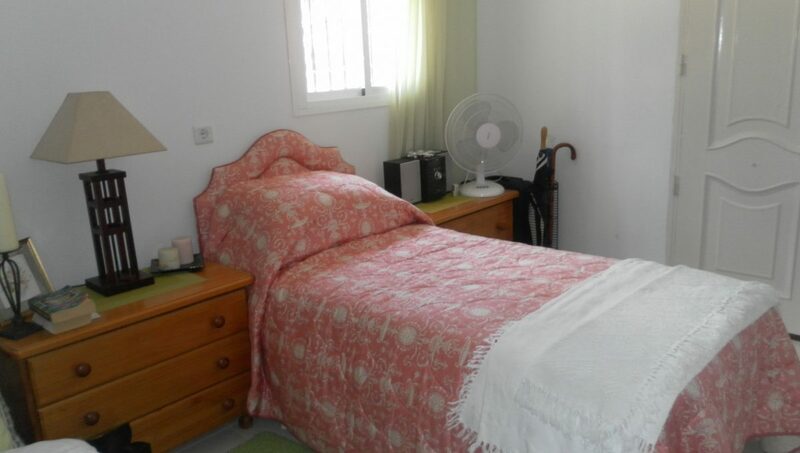 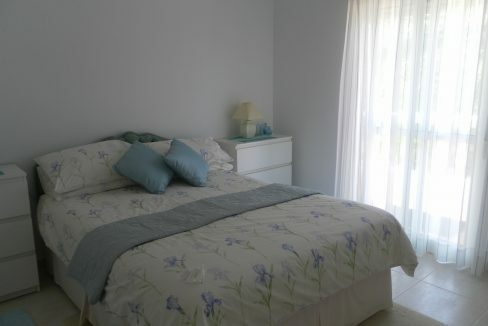 Double bedroom with fitted wardrobes and air conditioning with patio doors again on the balcony. 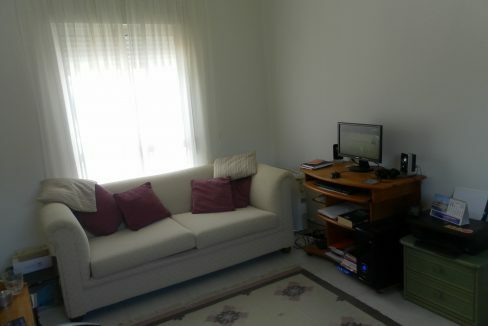 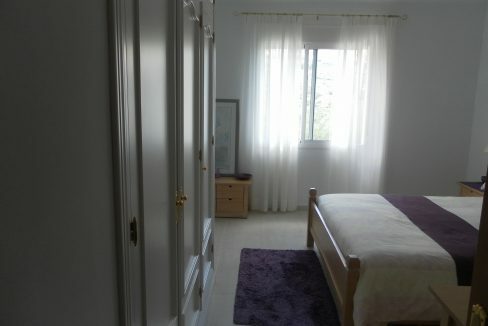 Marble floors and blinds throughout the house with good track access.